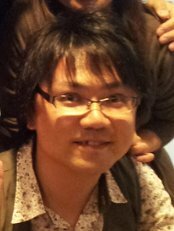 Master student Kahoko Takahashi contribuited to the book "Intelligent Computing", edited by K. Arai, K. Kohei, B. Supriya and R. Bhatia, published by Springer. She contributed to the research article "Using a Hierarchical Temporal Memory Cortical Algorithm to Detect Seismic Signals in Noise" by R. Micheletto, Kahoko Takahashi and A. Kim. This work is part of the Proceedings of the 2018 Computing Conference held in London, GB (10-12 July 2018). A quasi final version of the paper is here (link), while the final book version is online at Springer's link. B4 student Yusuke Fujii contribuited to a research presented at the International Workshop on Nitride Semiconductors (IWN 2018) held in Kanazawa, Japan. The presentation title was "Ab Initio Study of Substitutional Chlorine and Related Complexes in GaN" by Giovanni Alfieri, Yusuke Fujii and R. Micheletto. It was summarized in a poster (pdf) and abstract (pdf). Prof. R. Micheletto and master student Kahoko Takahashi participated to The 28th Annual Conference of the Japanese Neural Network Society (JNNS2018). She delivered a poster talk with the title Empirical mode decomposition for improved EEG signal classification with Convolutional Neural Network in Brain-Computer interface experiments by Kahoko Takahashi, Sun Zhe, Jordi Sol-Casals, Andrzej Cichocki, Anh Huy Phan and R. Micheletto. She also published a research abstract with the same title pdf. 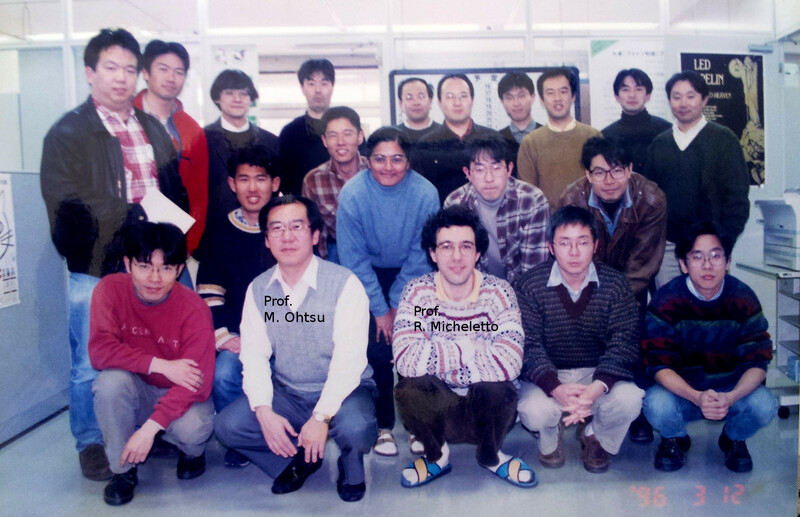 Kahoko Takahashi together with Dr. Sun Zhe (former Micheletto laboratory member, now at RIKEN) and other coauthors worked in the field of Brain-Computer interfaces. They studied the detection of EEG brain signals and developed an elaboration using an original Convolutional Neural network. In particular, she demonstrated that with the use of advanced mathematical techniquels like Empirical Mode Decomposition, it is possible to improve detection and reduce the number of actual experiments needed for the training of the network. 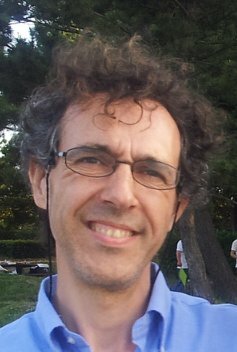 Prof. Cristiano Giordani published: Simulation of the song motor pathway in birds: A single neuron initiates a chain of events that produces birdsong with realistic spectra properties by C. Giordani, H. Rivera-Gutierrez, Sun Zhe and R. Micheletto, link. The neural pathway simulates the complete neural structure with few neurons, but it is able to reproduce recognizable bird sounds, here is an example in wave format audio. In this video the spontaneously emerging live dynamics of the network is noticeable (blocks hight represents membrane potential, the two rings the HVCs and RAs clusters and the horizontal block extension is the syrinx pressure). This study confirms experiments on animals and on humans, where results have shown that single neurons are responsible for the activation of complex behavior or are associated with high-level perception events. The work of Tsutsumi Toshiaki, R. Micheletto, G. Alfieri and Y. Kawakami "The relation between optical instabilities and absorbed materialg in photoluminescence with  InGaN single quantum well" has received an in-text citation in AIP Advances! In-text citation are like uber-citations, it means that the study has not only being read, but that it is deeply influential on other researcher, to the level that they felt the need to mention it directly in their report. This is a link to the in-text citation pdf. Here is a link to an article speaking about this. "Indium-free organic thin-film solar cells using a plasmonic electode"
Prof. Cristiano Giordani partecipated to the 60th Annual meeting of the Biophysical Society, held from February 27 to March 2 at the Los Angeles convention Center, California, USA. He presented a research with the title: "Resonances and Spectral Characteristics of a Neural Network for the Song Motor Pathway in Birds" by Cristiano Giordani, Hector Fabio Rivera-Gutierrez and Ruggero Micheletto. The link to the abstract is here. 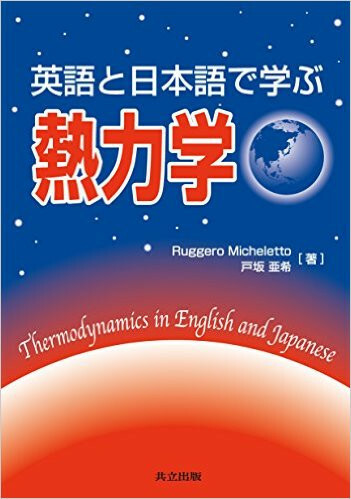 Prof. R. Micheletto and prof. Aki Tosaka published "Thermodynamics in English and Japanese", edited by Kyoritsu Publishing, Tokyo, Japan. This is the textbook of prof. Micheletto spring course "Thermodynamics" at YCU undergraduate school. This book is written in English with parallel translation in Japanese on adjacent pages. 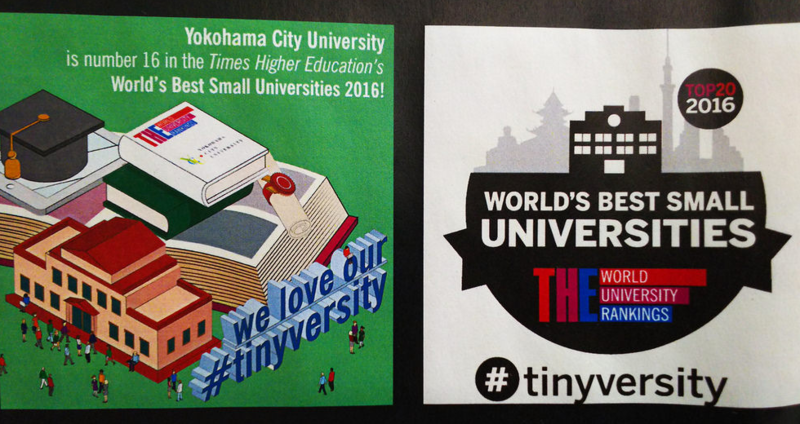 It is unique in its genre for Kyoritsu Publishing and for Yokohama City University as well. Teaching assistant and Ph.D. candidate Sun Zhe collaborated with students of the Science Frontier High School for the realization of a robotic project to partecipate to the national selection of WRO 2015 (World Robotics Olympiad). The news arrived that his team were selected. Yamada Tokiya, Masuda Hisayuki and Mikata Kosuke from left to right in the picture not only were were selected, but they are gold medalist, first in Japan across all sections (!). 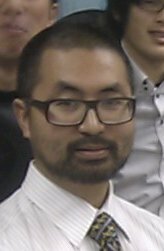 Mr Sun Zhe developed partially software and supported technically the students together with the other Science Frontier teaching staff. The three students and other teachers from Science frontier high school will be in Quatar for the world competition this November. 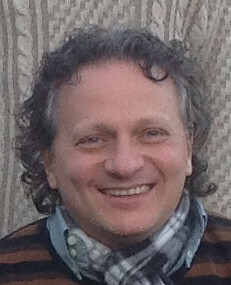 Prof. Micheletto left for a Sabbatical leave at the Visual Attention Laboratory, by the Harvard Medical School, Cambridge, USA. 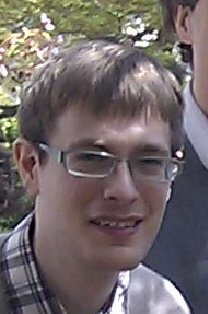 He will work in the group of prof. Jeremy Wolfe on themes of Psychophysics, a branch of sciences that study perception and cognition in humans to apply results in physics and engineerings. 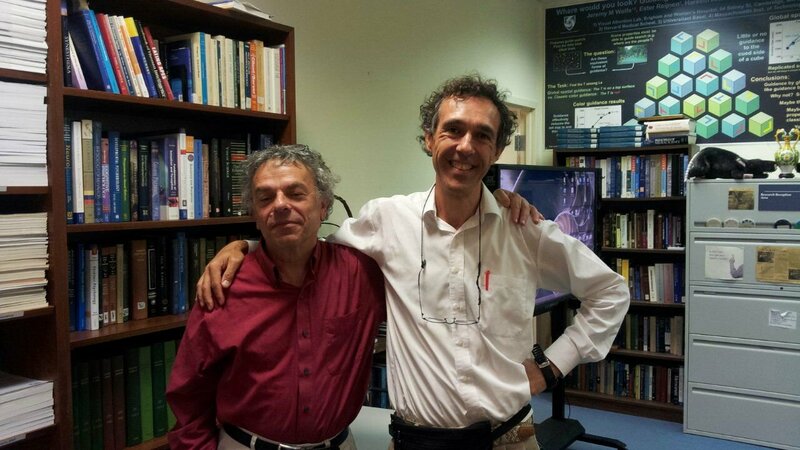 Here are some pictures of prof. Micheletto with prof. Jeremy Wolfe: pic1, pic2. Next prof. Micheletto's classes in YCU are scheduled for September 2016. "Application of DNA adductomics to soil bacterium Sphingobium sp. strain KK22"
The link to this paper is here. Professor Tomasz Rutkowski director of the Brain Computer Interface Laboratory (Tara, Tsukuba university) visited prof. Micheletto group and his Cognitive Information Science laboratory. 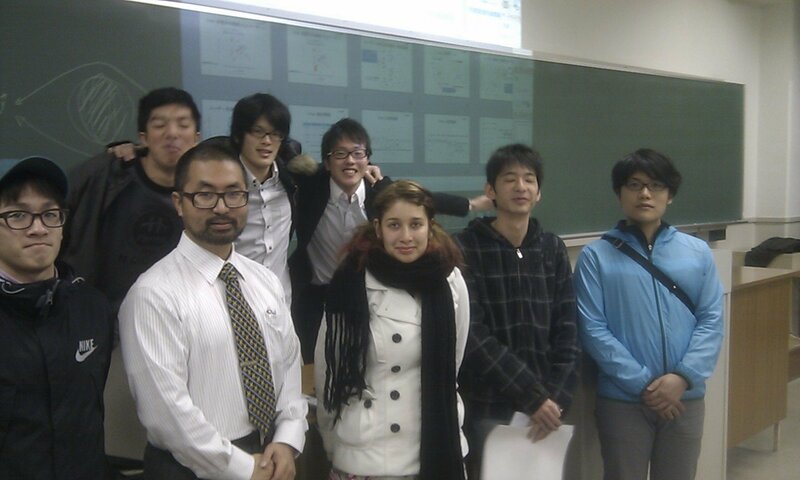 He gave a lecture in the framework of Yokohama City University faculty of science "Professors Room Seminars" program. 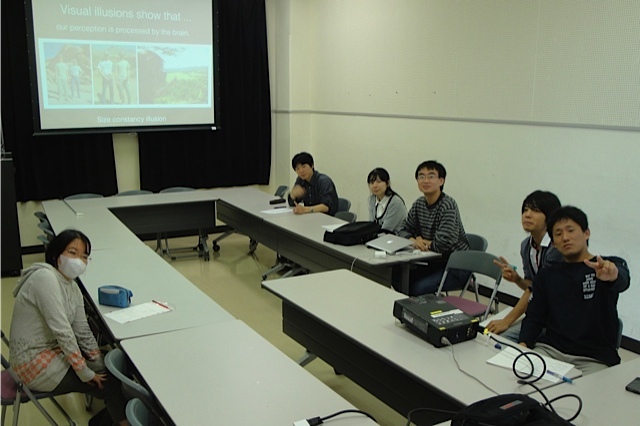 The seminar was held in the main class building from 14:30 to 16:00, in room 22. Title of the talk was "Student Teaching and Research Laboratory Focusing on Brain-computer Interface Paradigms", a link to the paper on which it is based is located here. 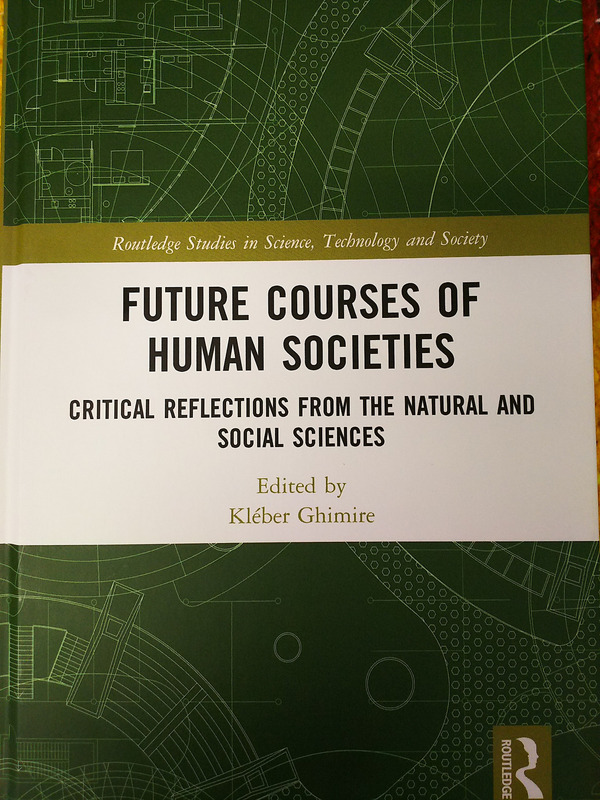 A link with all recent works of prof. Rutkowski is here. 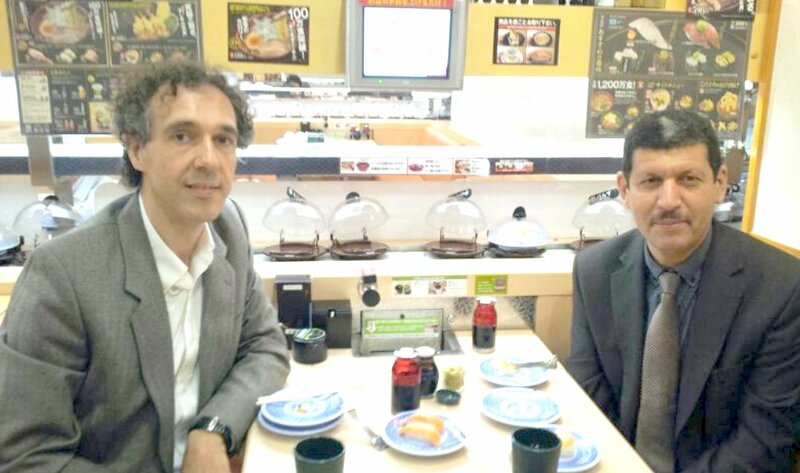 Professor Micheletto visited prof. A. Cichocki, head of the laboratory for Advanced Brain Signal Processing in Riken, Japan. 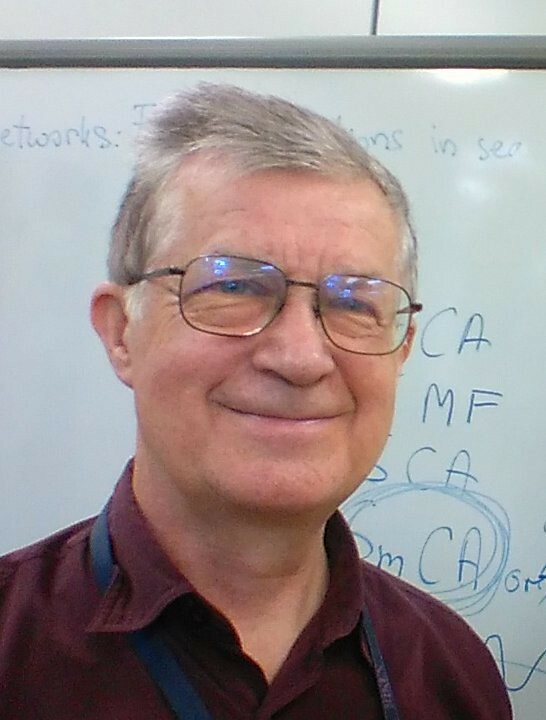 Prof. Cichocki is author of a fundamental book about tensor factorization, Nonnegative Matrix and Tensor Factorizations, (Wiley, 2009) an emerging method to analyze complex and noisy big-data structures. 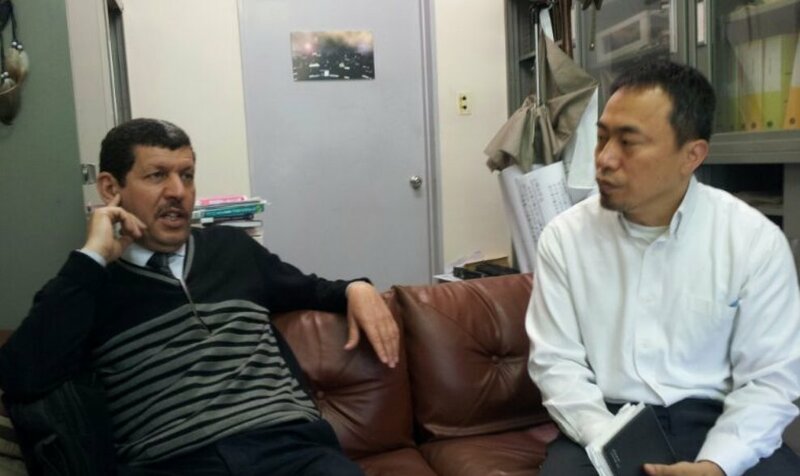 They discussed about how to possibly collaborate to apply these mathematical techniques to analyze scientific data of different kinds, from material science to cognitive/brain science related data. Published "Electronic properties of substitutional impurities in InGaN monolayer quantum wells" by G. Alfieri, T. Tsutsumi and R. Micheletto, Applied Physics Letters 106, 192102 (2015), here (pdf, 2Mb). 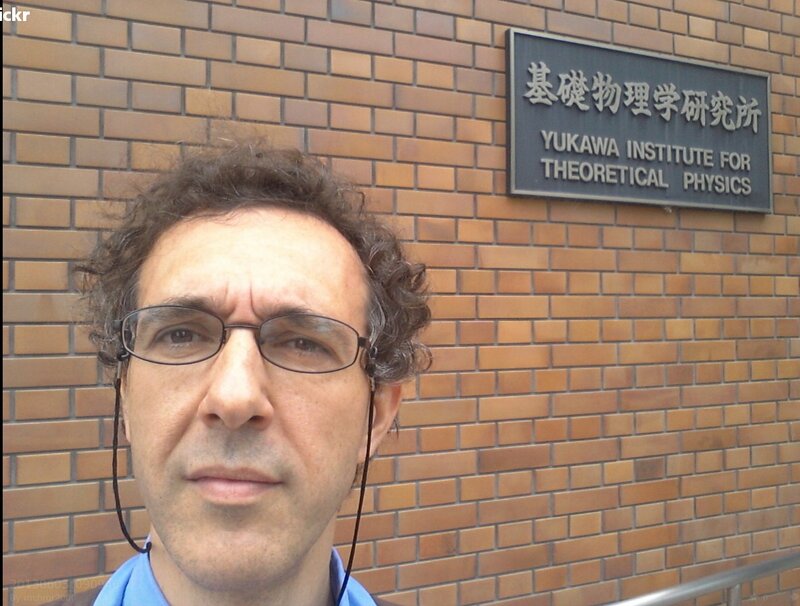 Prof. Ruggero Micheletto partecipated to the 6th Interdisciplinary Seminar for Optical Science, sponsored by the JSPS Bilateral Cooperation Program (Italy-Japan). The seminar was organized by prof. Takashi Yatsui of the University of Tokyo and prof. Takuya IIda of the Osaka Prefecture University. 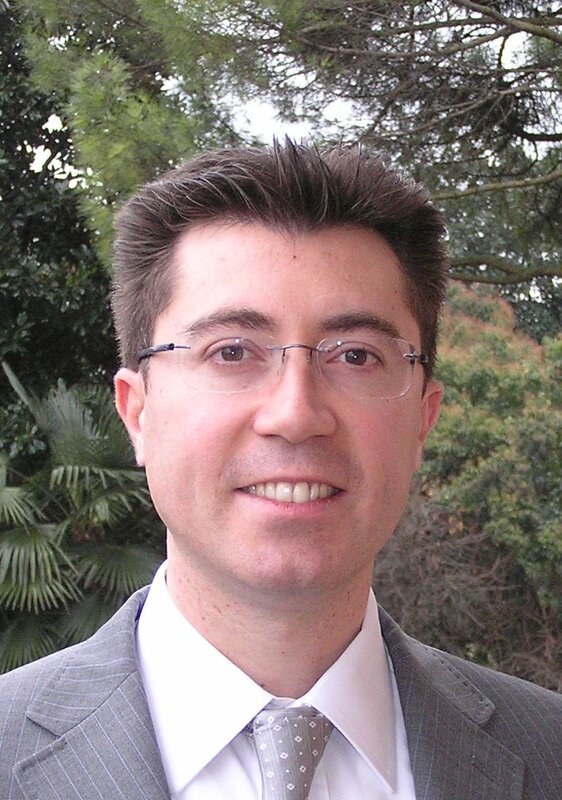 Professor Cristiano Giordani from Universidad de Antioquia (Medellin, Colombia), Master's Degree in Physics from University of Rome "La Sapienza" and PhD in Physical Chemistry from Kyoto University, is awarded a visiting professor status by the YCU's Rectorate and Academic board. His visiting status is running from 13 December 2014 and ends on 13 January 2015. Friday 19th of December, Prof. Giordani gave an introductory three hours course on Neural Networks and Neurosciences to the students of Doctors course in YCU and other faculty members. The abstract of his class is here. Some pictures of his visit are here: pic1 and pic2. 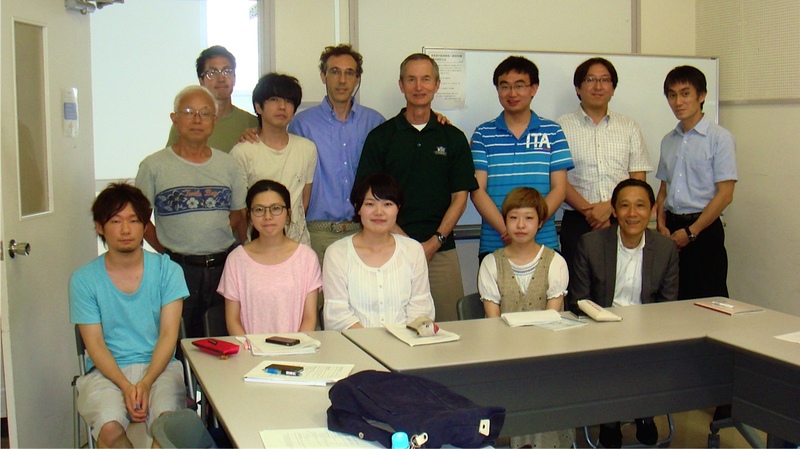 Master student Watari Fujika participated the 2014 JVC Symposium held at GSI in Tsukuba city, Japan. She presented her work on the "Development of the multi frequency phase referencing method in Very Long Baseline Interferometry(VLBI)" authored by F. Watari, Y. Asaki, R. Micheletto and the KaVA evolved star working group. Links to the symposium is are here and here. The OHP of the presentation are here (pdf, 0.25 Mb in English). 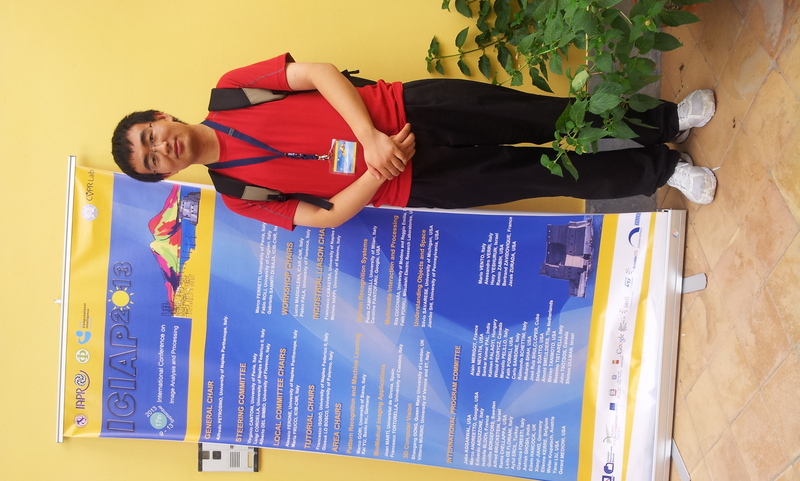 Master student Tsutsumi Toshiaki participated to OaM 2014, the Optics and Measurement International Conference, held in Liberec (Czech Republic). 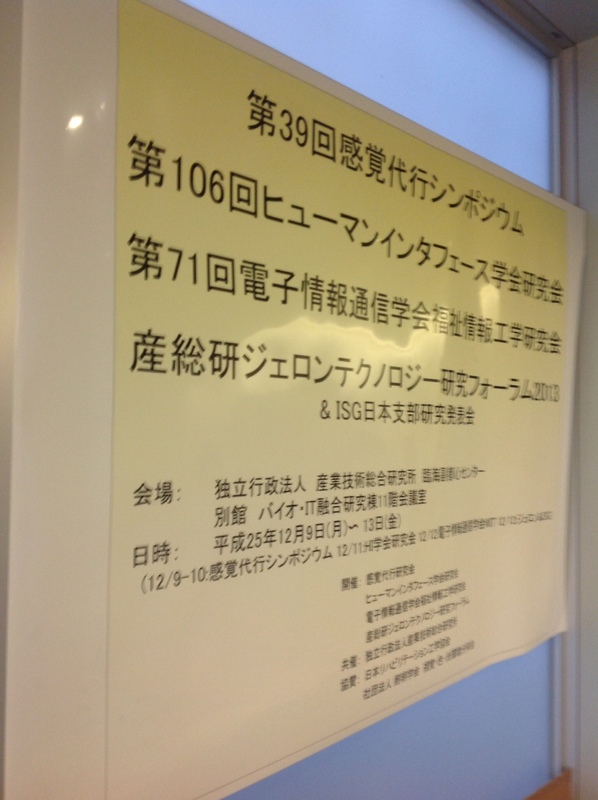 He presented a talk with the title "Study of (0001) InGaN SQW optical memory effect correlated to the increase of intense emission local domains by time-resolved photoluminescence and thermal and pressure dependence" by T. Tsutsumi, M. Funato, Y. Kawakami and R. Micheletto. The talk was also summarized in a paper here (pdf, 0.5Mb). 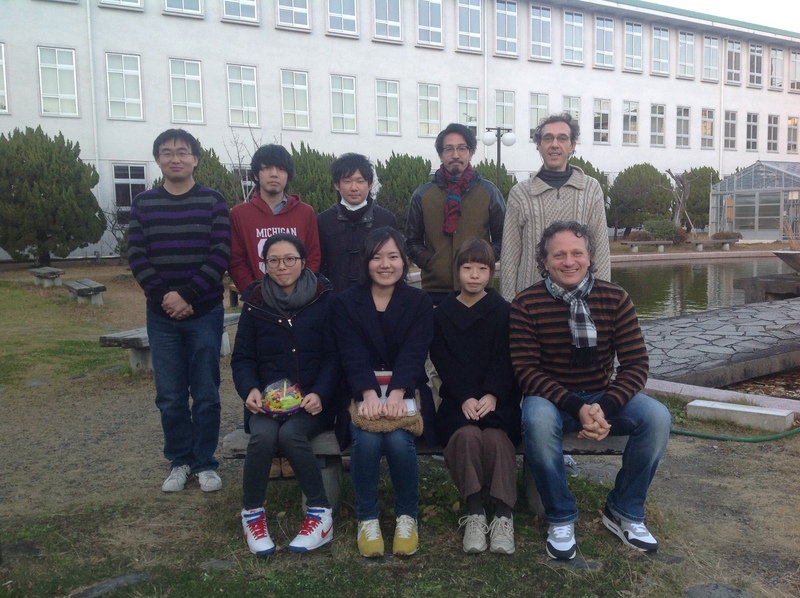 Master student Watari Fujika participated the 12th VLBI User meeting. This is a workshop under the VERA framework, an organization of the National Astronomical Observatory of Japan. She gave a talk with the title "Development	of	the	multi	frequency phase referencing	method	in	VLBI	observation" by F. Watari, Y. Asaki and R. Micheletto. The talk was also summarized in a poster here (pdf, 2Mb in Japanese). 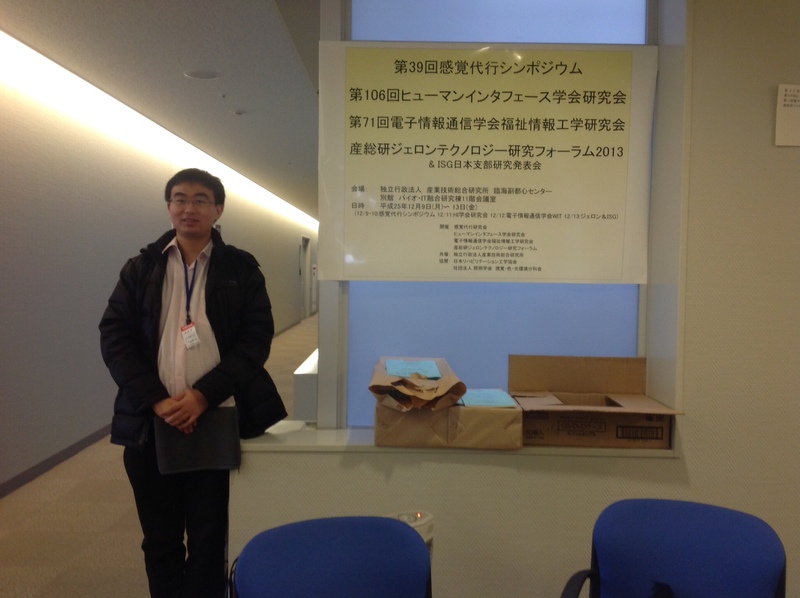 Master student Takatori Kentaro went to the annual meeting of the Japanese Society for applied physics (75th Oyobutsuri Gakkai). He gave a talk with the title "Surface exciton polaritons supported by a J-aggregated-dye/air interface" by K. Takatori, T. Okamoto, K. Ishibashi and R. Micheletto. The talk was also summarized in an abstract here (pdf, 0.1Mb in Japanese). 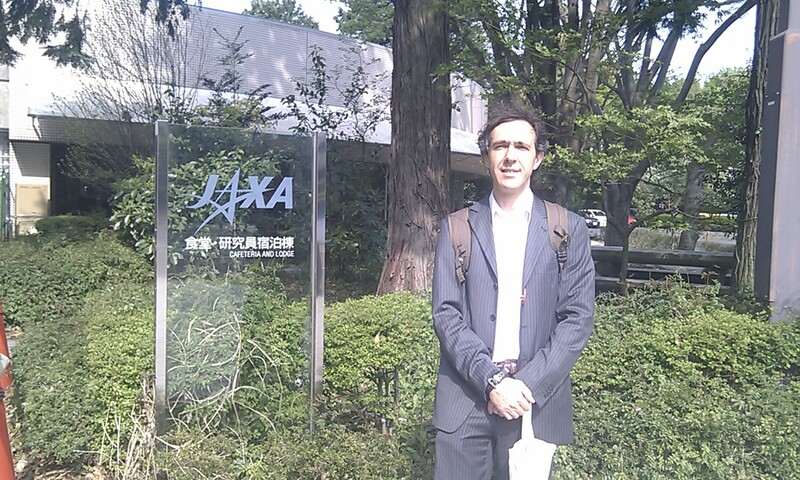 Prof. Micheletto collaborated with the study "The current status of Large-scale Cryogenic Gravitational Wave Telescope (KAGRA) Project" presented at the Japanese Physical Society meeting 2014. The report (20aSB-1) describes the status of the KAGRA project and its ongoing challenges and achievements. 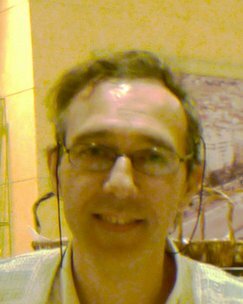 Prof. Micheletto contribuited with a feasibility study concerning a passive instrument to detect with high precision the movement of mirror suspending cables. An abstract of the work is here (pdf, 0.1Mb in Japanese). The report is authored by many researchers including Nobel prize winner prof. T. Kajita. 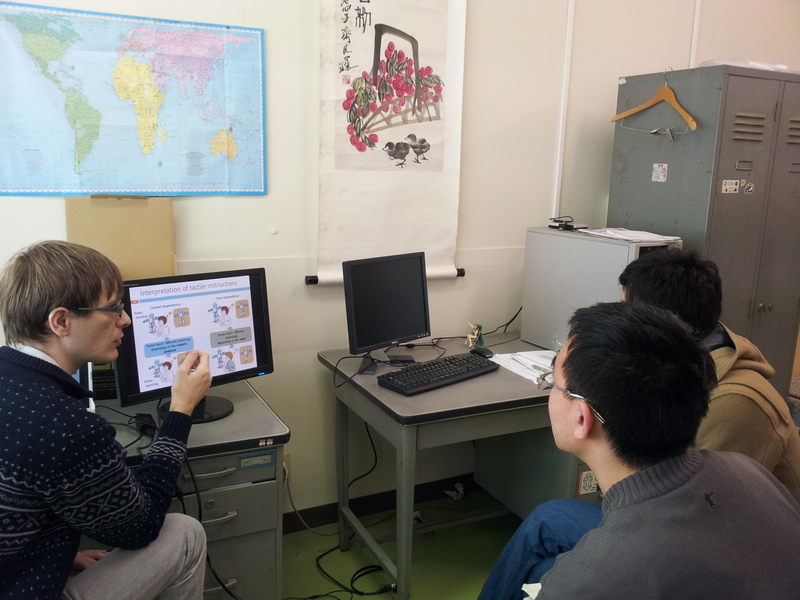 Tokyo University Professor Motoichi Ohtsu PhD, visited YCU and gave a class to our faculty professors. The goal of the class was help our university to improve its standards of teching toward more interesting, fulfilling and memorable classes for our students. Prof. Ohtsu explained that classes should be simpler and straighforward, that students love practical examples and that enjoy challenge themselves with tests and problems. The Prof. Ohtsu talk is summarized in these OHPs (1 Mb, PDF, Japanese). 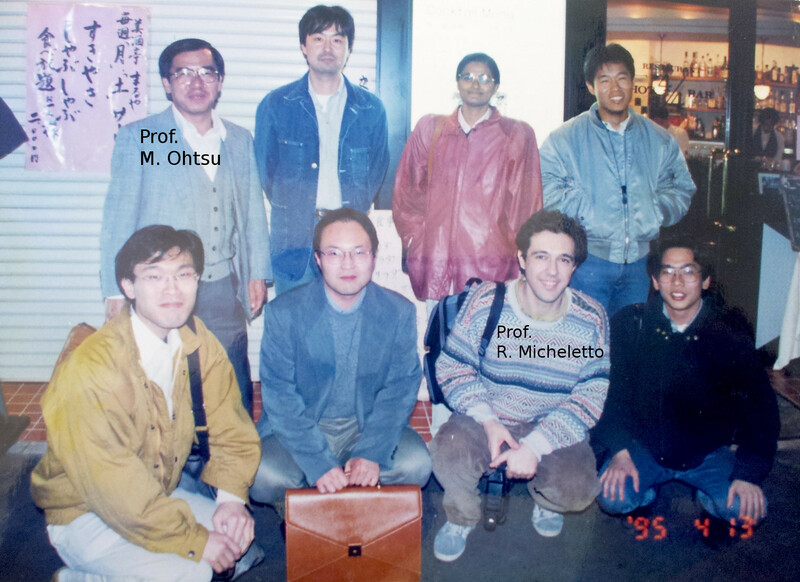 Prof. Ohtsu was mentor of prof. Micheletto for two years starting 1994 (pic1, pic2) during the so called Ohtsu "Photon Control" Project in the Kanagawa Academy of Science. In that period of time, prof. Ohtsu made several world-wide technological advances, including one method to deposit nano-particles in a perfect monolayer. This method was done together with prof. Micheletto and is cited on hundred of international scientific journals and was patented in Japan (paper, PDF, 2.5 Mb). 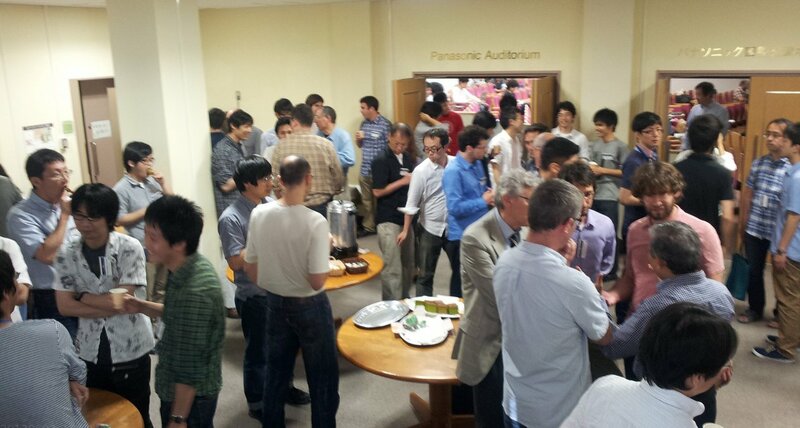 One picture of the event is here: pic3. Northeastern State University's Professor Thomas O. Salmon OD, PhD, FAAO, visited Micheletto's group and gave a class about Visual perception to physics department students. The title of his talk was "Introduction to human vision". The class was based on prof. T. Salmon own Vision Science II classes linked here and supporting material for his lecture is here. Some pictures of the event are here: group, working 1, working 2. 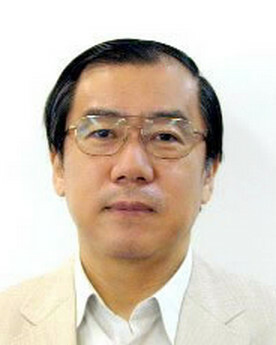 Prof. Takashi Yatsui has been awarded a bilateral collaboration project from JSPS (Japanese Society for the Promotion of Science). Prof. Micheletto is a member of the project team and in this framework was invited to visit the European laboratory for non linear spectroscopy LENS in Florence, Italy. 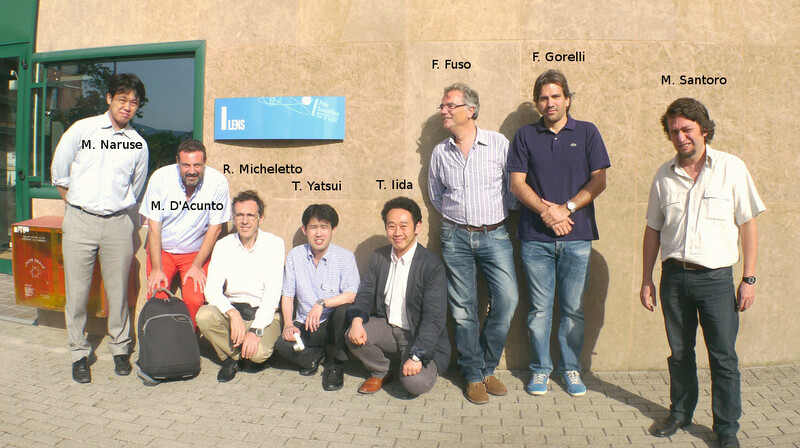 Prof. Micheletto and other colleagues from Japan, visited the laboratories (pic) and had proficuous discussion about prossible collaboration in the non-linear optics field between Japanese and Italian top researchers. Here is a picture of the meeting in LENS (pic) and a group picture taken outside the laboratories (pic). 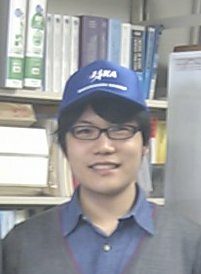 Published "Blinking in Photoluminescence of InGaN Devices is Caused by Slow Beating of THz Vibrations of the Quantum Well"
Prof. Micheletto collaborated with the study "The current status of Large-scale Cryogenic Gravitational Wave Telescope (KAGRA) Project" presented at the Japanese Physical Society meeting 2014. The report (27aTL-1) describes the status of the KAGRA project and its ongoing challenges and achievements. 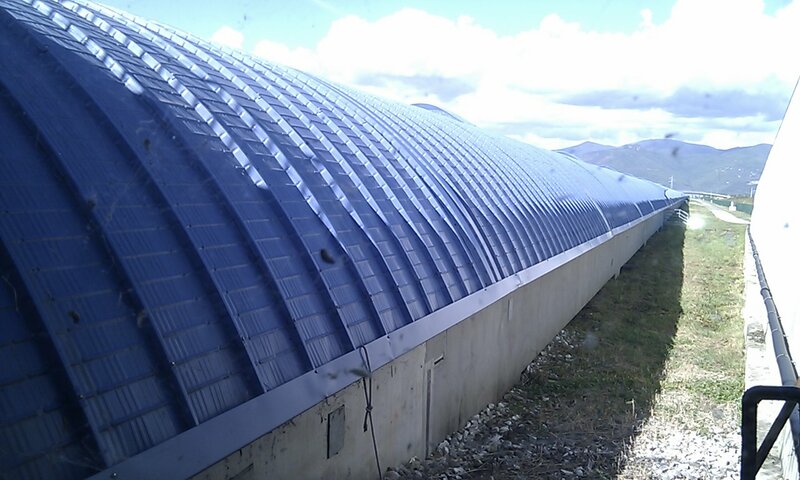 Prof. Micheletto contribuited with a feasibility study concerning a passive instrument to detect with high precision the movement of mirror suspending cables. An abstract of the work is here (pdf, 0.1Mb in Japanese). The report is authored by many researchers including T. Kajita (Nobel prize winner 2015). 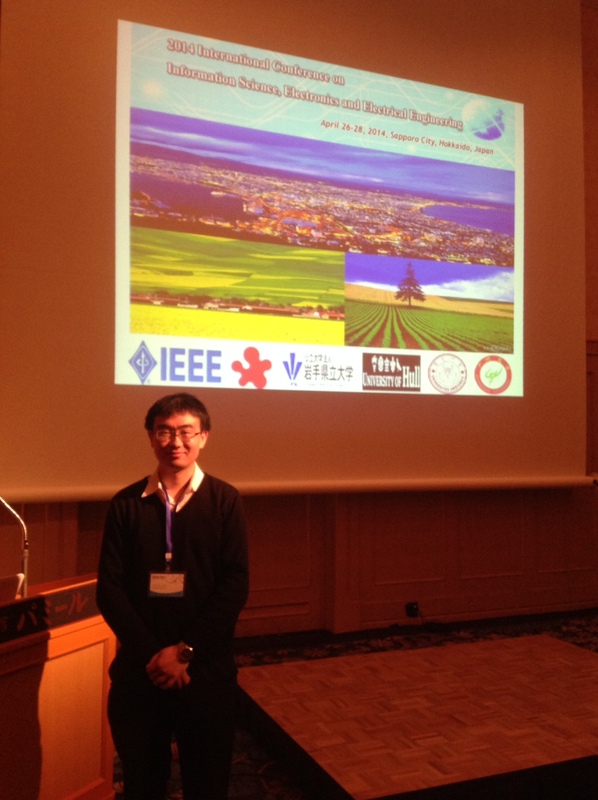 Dr. Student Sun Zhe was invited to the ISEEE 2014, the International Conference on Information Science and Electronics Engineering. He gave a talk with the title "Emergence of Intelligent Behavior From a Minimalistic Stochastic Model for Robots" (OHPs, pdf, 3.7Mb). Also, his talk has been accepted to be published on the proceedings of the conference, a peer-reviewed publication affiliated to IEEE (link). The study he presented is a very simple theoretical and simulation-based study in which a markov chan is used to create a transition Matrix to guide a robot in a Maze. The Robot first receives a training session where the user drives it within a series of mazes. During this phase the various robot sensory states are treated as a markov-chain to fill up a Transition Matrix bi-dimensional array. Then, the robot is let alone to drive in an unknow maze. He demonstrated that the robot -without any knowledge of the its position or exit location, nor with any empirical instructions or algorithm- can exit the maze in a minimal time. This effect is showing that a purely stochastic approach to learning, can lead to the emergence of what it looks an "intelligent behaviour", with an extremely simple algorithm, spontaneously and without any complex set of instructions. Here are pictures taken at the congress pict, pict, pict. Prof. Micheletto was invited to the 4th International Conference on Advanced Materials Research link in Macao, China. He gave a talk with the title "Blinking in Photoluminescence of InGaN Devices is Caused by Slow Beating of THz Vibrations of the Quantum Well", by R. Micheletto, K. Oikawa and C. Feldmeier (program of the meeting here, pdf 1.5Mb). He presented his theory to explain the dynamical behaviour of photoluminescence of InGaN material as a lattice vibrational displacement waves interference. Also, he discussed with several scientists his latest results on the blinking and memory effect of the luminescence of wide band-gap optical materials. Here is some pictures taken at the Banquet evening of the congress pict and pict. 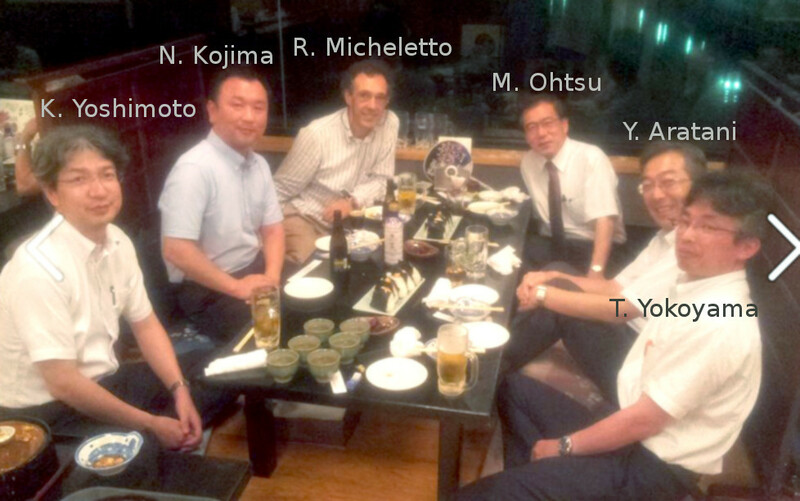 Bachelor student Tsutsumi Toshiaki and Prof. Micheletto were invited by prof. Yoichi Kawakami in Kyoto University. Mr. Tsutsumi discussed with the group his latest results on the blinking and memory effect of the luminescence of wide band-gap optical materials. 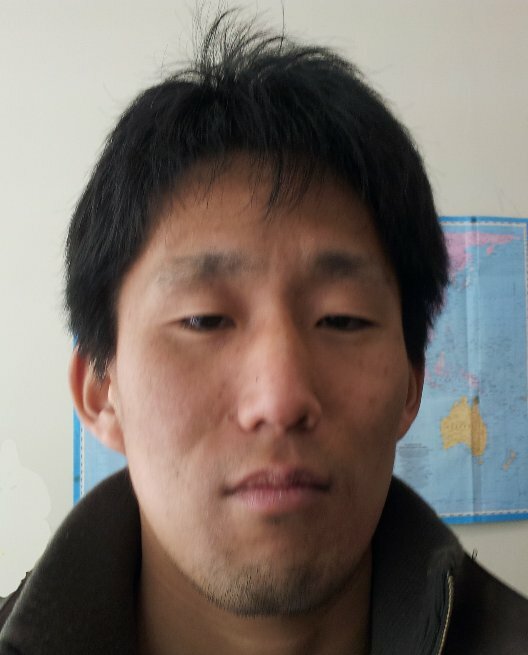 Mr. Tsutsumi has been selected to enter our graduate school in physics from April 2014. He will continue his research for an explanation of the fundamental phenomena behind optical instabilities of optical devices. Graduate student Sun Zhe was invited for a speech at The 39th Symposium of the Japanese Artificial Devices for Cognition research society of Japan. 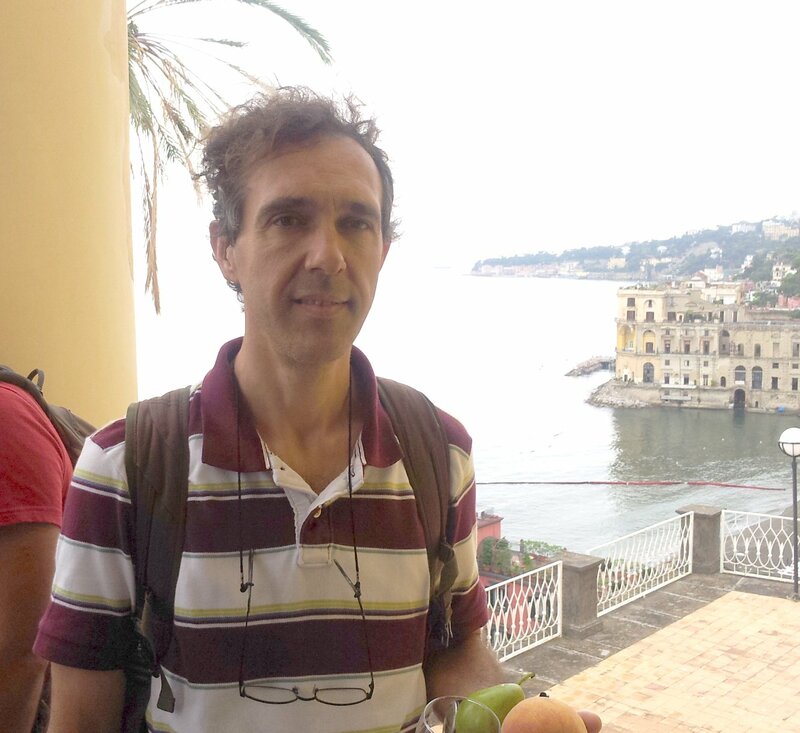 He gave a talk with the title "Study of Information Processing Systems Based on Neural Network of Visual Cortex", by Sun Zhe and Ruggero Micheletto (program of the meeting here, abstract). In this study, we improved the computational model of object recognition in cortex (HMAX Model) to help visually impaired persons to recognize simple images. The conference site is located (here) and some pictures of the event are here (pic1, pic2). 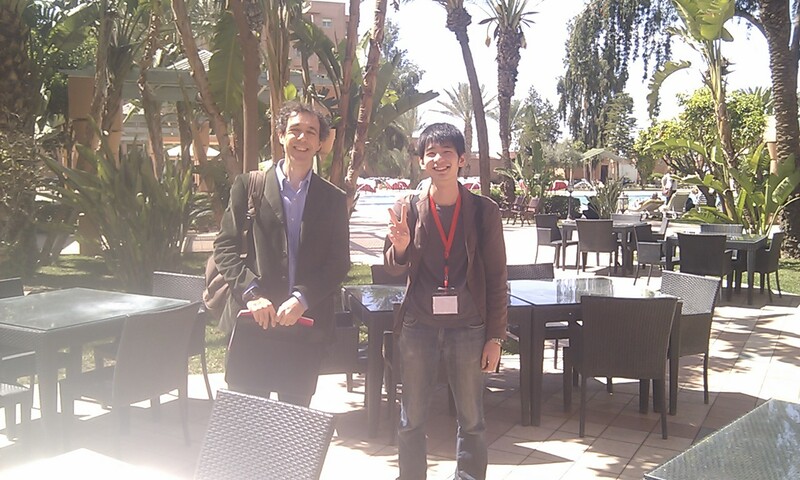 Master student Takatori Kentaro participated to MNC 2013, the 26th International Microprocesses and Nanotechnology Conference. He presented a talk with the title "Rare-metal-free organic thin-film solar cells using plasmonic electrodes" by K. takatori, T. Okamoto, H. Takei, K. Ishibashi and R. Micheletto. The talk was also summarized in a poster in Japanese here (pdf, 0.5Mb in Japanese). Published "Observation of lattice thermal waves interference by photoluminescence blinking of InGaN quantum well devices by R. Micheletto, K. Oikawa and C. Feldmeier, Applied Physics Letters 103, 172109 (2013), here (pdf, 2Mb). Prof. Yoshiharu Asaki of JAXA Institute of Space and Austronautical Science visited Micheletto laboratory with his student Miss Kozue Kusuno. They made a presentation of their late research about Red Supergiant stars maser emission. Their goal is possibly collaborate with Micheletto's studetns for a method of automatic detection and patter recognition in astrometry data. 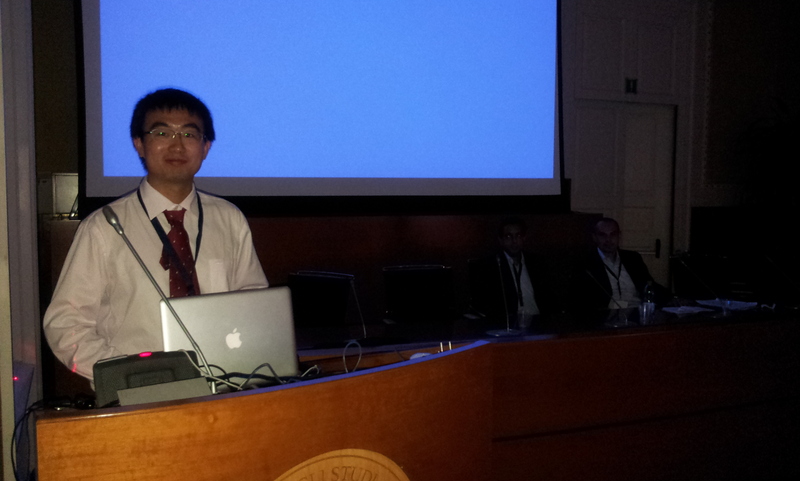 Graduate student Sun Zhe was invited for a speech at the 17th International Conference on Image Analysis and Processing held in Naples, Italy. 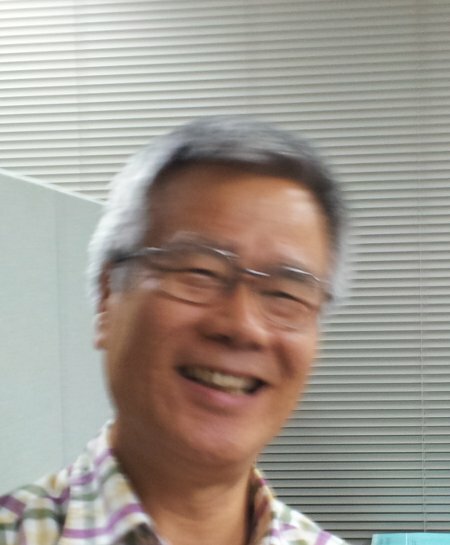 His talk, based on a study of former graduate student T. Kishino, was scheduled in the "Assistive Computer Vision and Robotic" Workshop session (link to the program and to the flyer). The paper (pdf, 1Mb) was accepted for publication on peer review international journal: Lecture Notes in Computer science, vol. 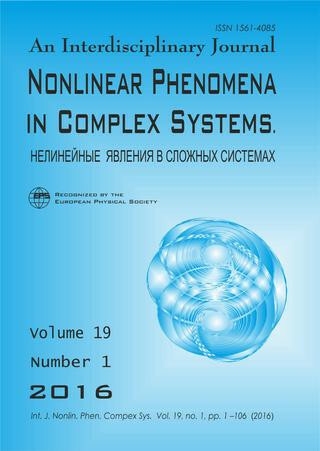 8158 (2013), pp 20-29 (link). The conference site is located (here) and some pictures of the event are here (pic1, pic2). Prof. Micheletto (pic) accompanied his graduate student Mr. Sun and attended partially the conference. 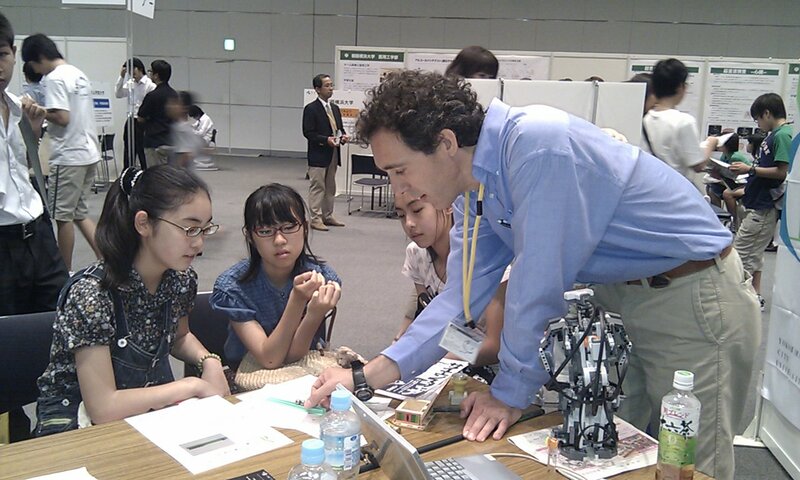 Prof. Micheletto was coordinating an event with the title "Creative Science: let's make a next generation robot". 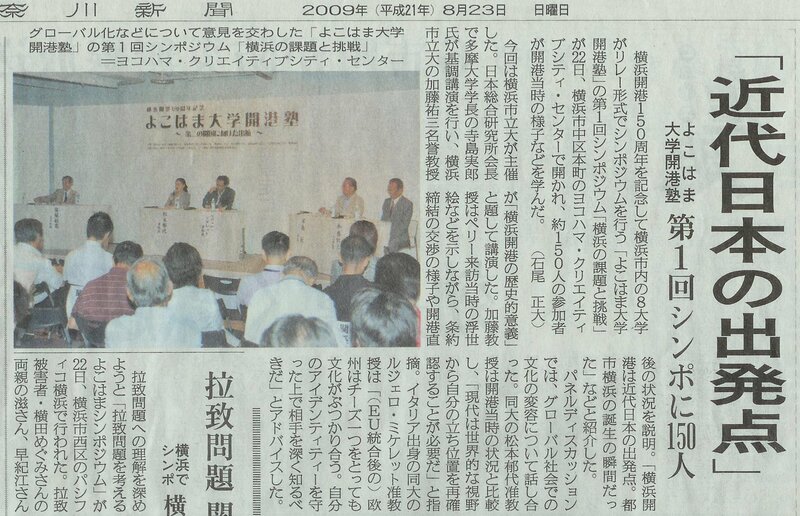 This event was in the framework of the ministry of education program called "Hirameki". This program is awarded to professors that obtained national "Kaken" research grant. 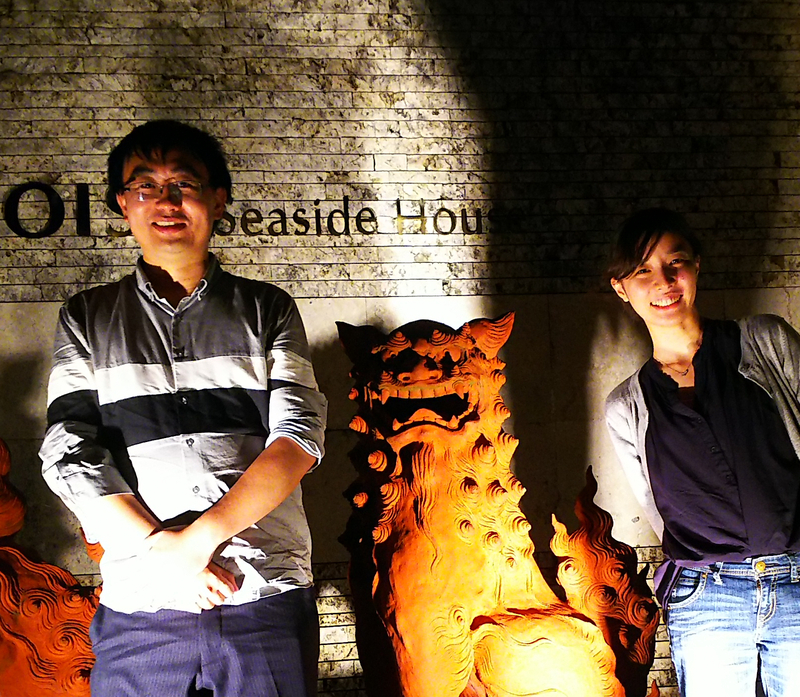 His graduate students Fujika Watari and Sun Zhe helped in the organization of the event. About 37 young students partecipated, plus parents and visitors. In the lunch interval the professional magician Waddy, picture on the right, entertained the students with magic tricks, some of them also based on the physics theme. A report of the day is at this link (in Japanese). Bachelor student Isozaki Yoichi and Prof. Micheletto were invited by Dr. Fabio Dalla Libera to the "Intelligent Robotics Laboratory" of prof. Ishiguro, Osaka University. 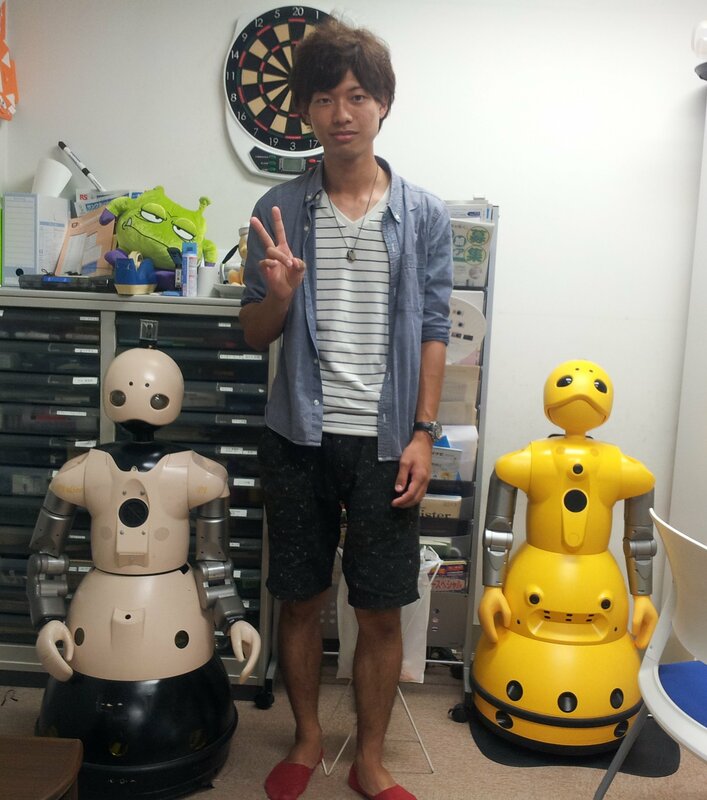 They discussed about Isozaki research project in which he is studying mathematical algorithms to represent natural motion of Robot body in particular the head. 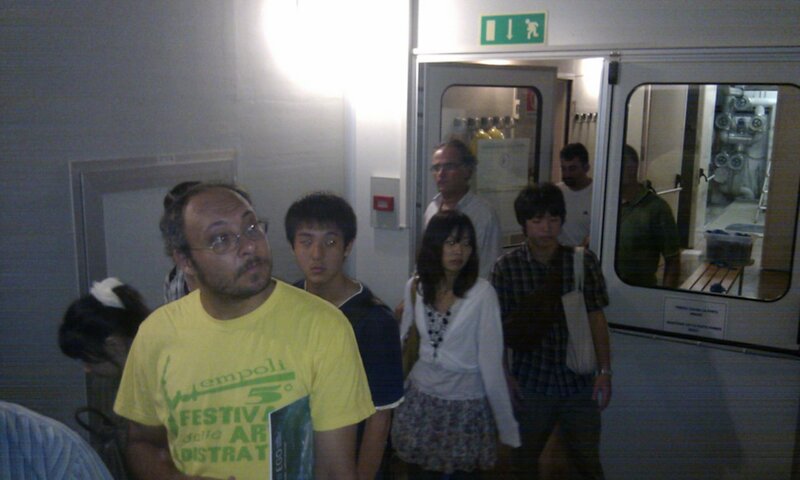 They visited Ishiguro Laboratory, and could observe in live action some of his famous robots, see pict and pict. 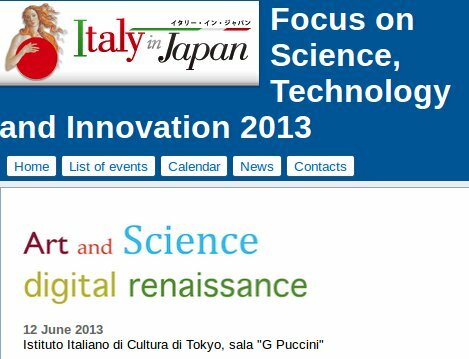 Prof. Micheletto was invited for a speech at the brainstorm meeting "Art and Science digital renaissance" meeting at the Italian Institute of Culture in Tokyo (link). He presented a talk about how art is implicit in science and about the new tools of 3D modeling and data representation. 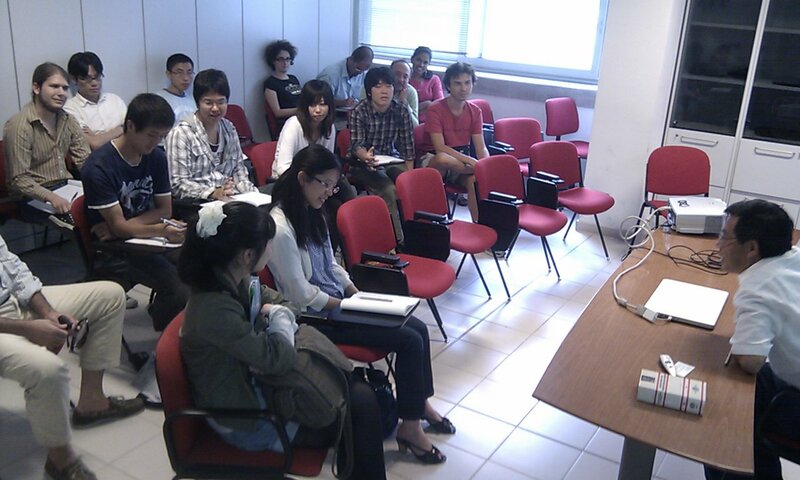 The meeting was organized by Vito Cappellini from the university of Firenze. The program of the event is here. 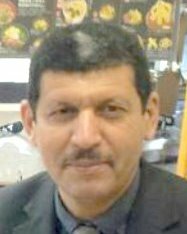 Prof. Ali Bajja, Dean of the Faculte Polidisciplinaire of the University Hassan Premier in Khouribga, Morocco, visited prof. Micheletto group. He had a one hour colloquium with professor Tsutomu Fuse, president of YCU, he introduced his faculty with this presentation. Also, he discussed with professor Micheletto (pic) and other professors in YCU (here with prof. Yoshida, responsible for African Studies in YCU) to enhance the possibility of future collaborations between the university of Hassam Premier in Morocco and YCU in Japan. 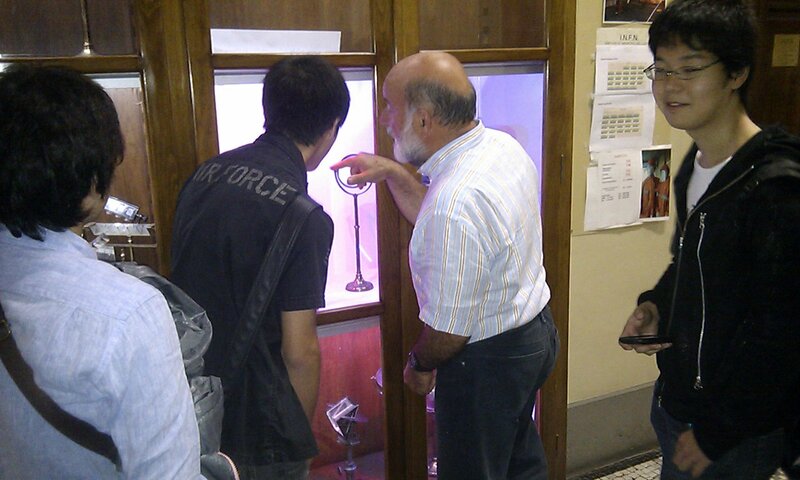 Professor A. Bajja also did some studies on his Geological samples with SEM facilities in YCU. Here is a picture of research activity at the Electron Microscope: pic. 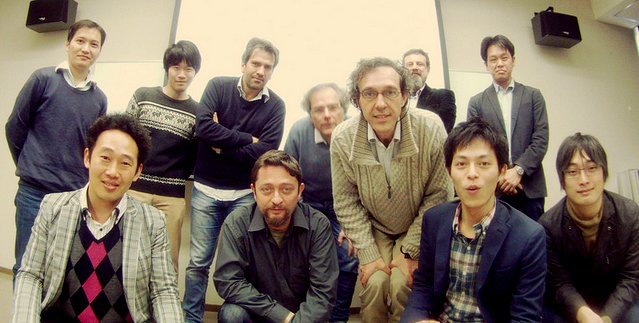 Prof. Micheletto and Chongmeng Wong partecipated at the 2013 Yukawa Seminars on Gravitational Waves, Kyoto (link). Chonmeng Wong presented a study (a brief explanation in these slides: pdf) with the title "A shadow sensor device for KAGRA gravitational wave telescope" as a brief oral presentation and in the poster session Here is the group picture. Some other pictures of the event: pic, pic. 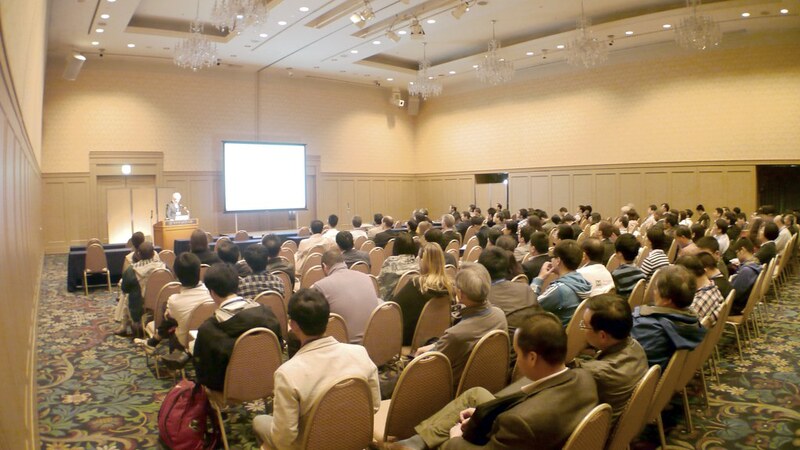 The Robotics and Mechatronics Conference 2013 (ROBOMEC 2013) was held in Tsukuba, Japan on May 22-25, 2013. 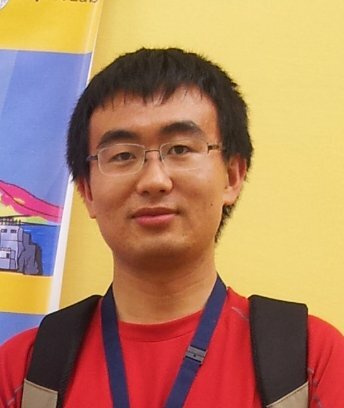 Second year master student Sun Zhe attended the conference and talked aout the algorithm of Natural Language Processing and pattern recognition with the researchers. 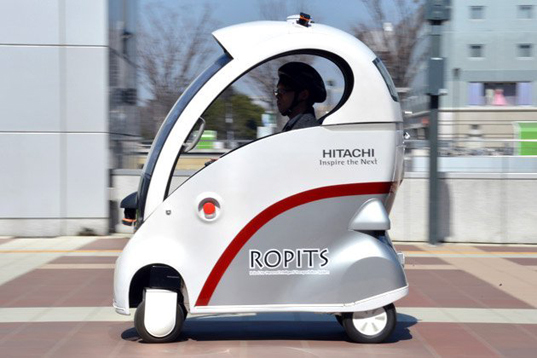 He also tried to operate the ROPITS what was designed by Hitachi. The realization of the new generation of gravitational waves opened a new era in the Universe observation. Second year master student Sun Zhe and undergraduate student Wong Chonmeng visited Italian Institute of Culture and attended the seminar. In few years from now the detection of the gravitational wave radiation will allow the investigation of catastrophic events in the Universe through a new perspective: the gravitational window. Japan and Italy are leading this evolution thanks to the realization of the KAGRA and Advanced Virgo detectors and the Einstein Telescope design study. Perspectives and technical aspects were discussed. 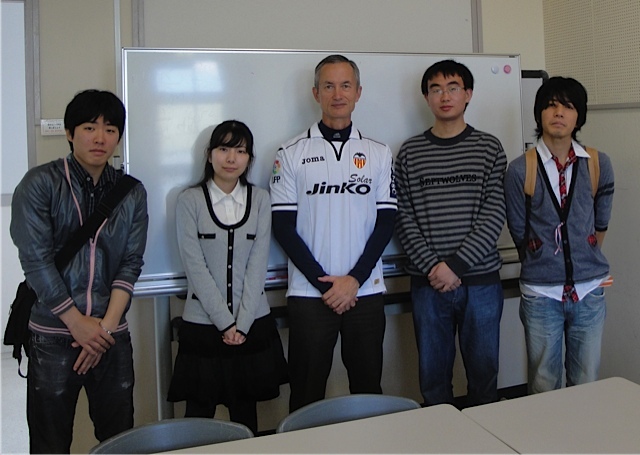 Dr. Fabio Dalla Libera from Osaka University, prof. Ishiguro group, visited prof. Micheletto and made three hours class to Graduate and Undergraduate students. He also established links for a collaboration in the field of Robotics and visual Perception. A picture of the event is here. An extract of his class OHPs is at this link (pdf, 12 Mb). A curriculm vitae and pubblications of Dr. Dalla Libera are located here. 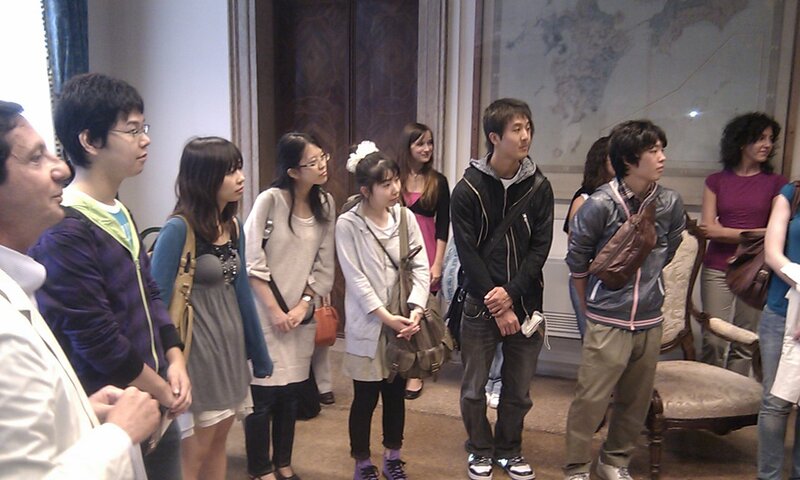 The visit was supported by the "Basic Research Founding" program of Yokohama City University. 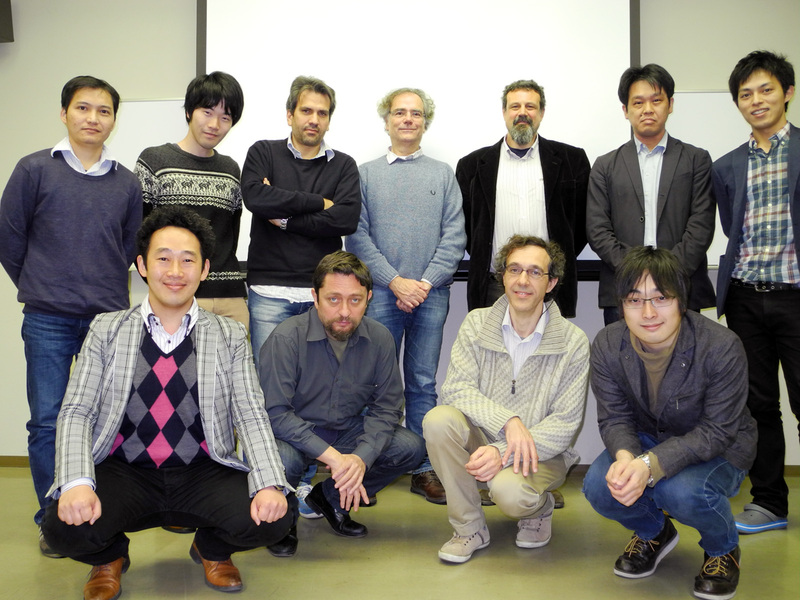 Prof. Micheletto was elected member of KAGRA project, an international collaboration to realize a large-scale cryogenic Gravitational Wave telescope. He will be in charge of designing a very sensitive optical sensor for detecting tiny movement of the cable that is holding the main interferometer mirror. 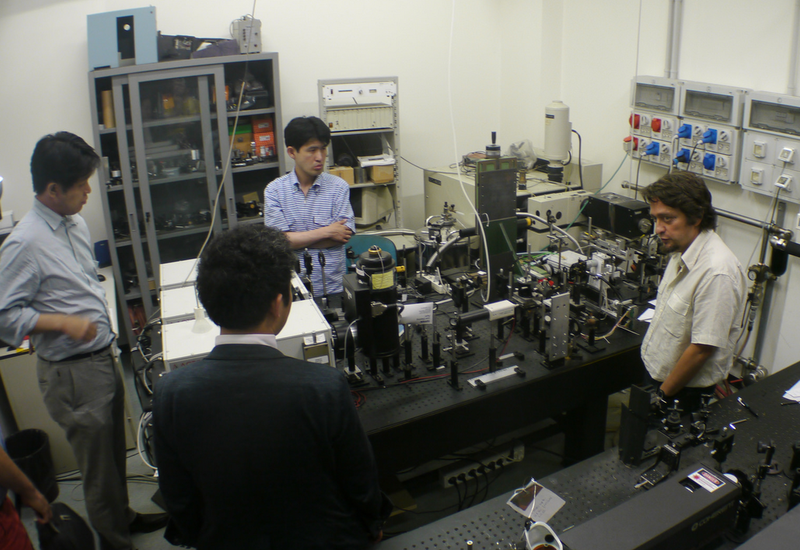 The project is supervised by prof. T. Kajita (Nobel in Physics 2015) and prof. K. Kuroda. 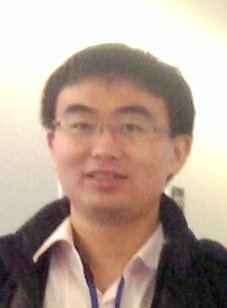 Prof. Micheletto undergraduate student Wong Chonmeng will partecipate to the research project. The program of the meeting is located here. Prof. Yoshiharu ASAKI of the Institute of Space and Austronautical Science visited Micheletto's laboratory and made a lecture to its students with the title "Research topics on radioastronomy in JAXA". Also, Miss Fujika WATARI started the investigation topic with prof. Asaki for her Master Thesis research. She will help prof. Asaki concerning treatment and analysis of data coming from the radiotelescope ALMA in Chile. Master student Takahisa Kishino presented a research talk to the 38th Symposium of the Japanese Artificial Devices for Cognition research society of Japan. The talk title was "A Monocular Pederstrian Detection System for Visually Impaired". 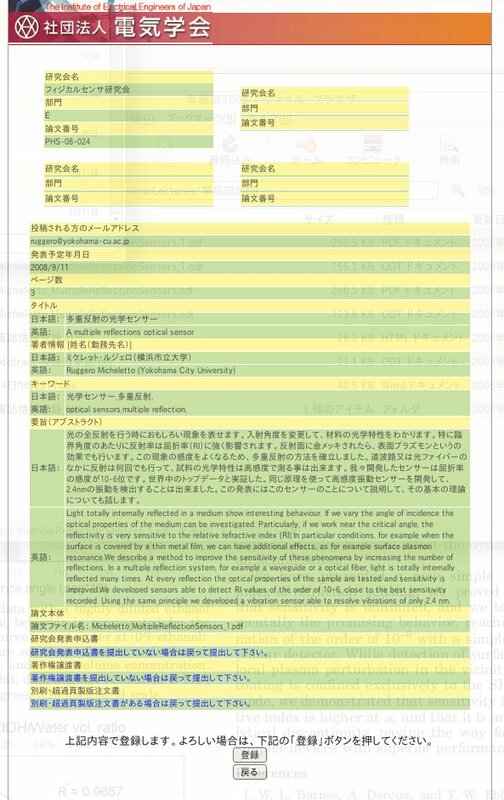 The PDF of his research paper is here, and the OHPs of the presentation here (in Japanese). The site of the conference is here and the abstract of the talk here. 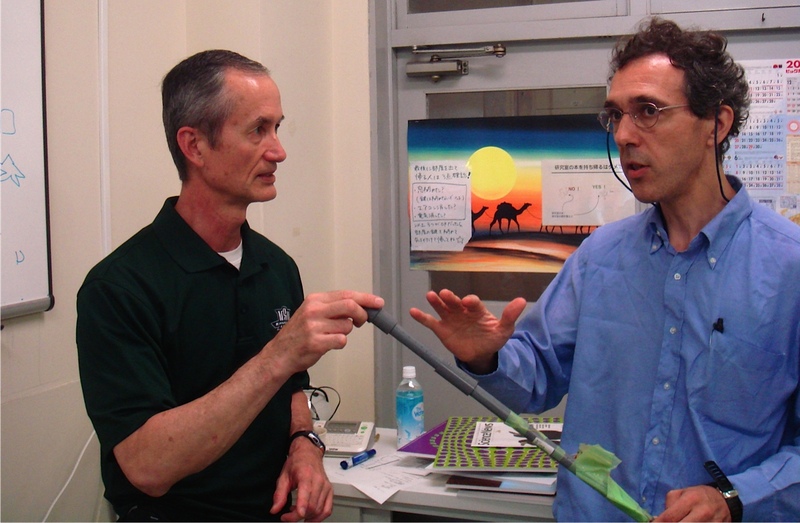 Prof. Micheletto visited prof. Kuroda Kazuaki of Tokyo University, a member of KAGRA project, an international collaboration to design and realize a new kind of Gravitational antenna in Kamiokande, central Japan. The project is frieldly called as the final mission of Albert Einstein. 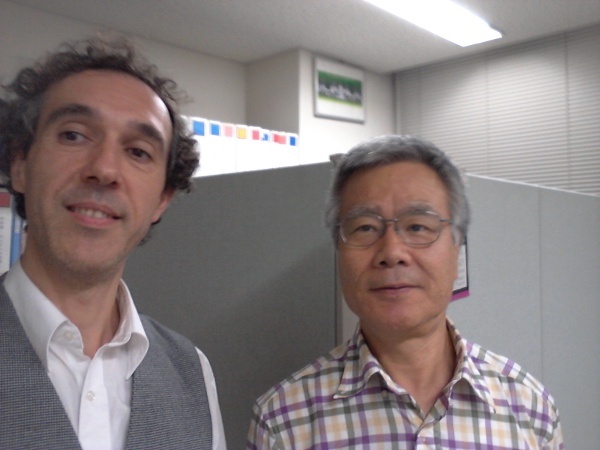 Prof. Micheletto and prof. Kuroda discussed about the possibility of the realization of a super-high sensitive optical vibration sensor in the system. Here is a picture of the meeting with prof. Kuroda (pic) and some desctiptive slides about KAGRA and its principle of operation (partially in Japanese). Northeastern State University's Professor Thomas O. Salmon OD, PhD, FAAO, visited Micheletto's group and gave a class about Visual perception to physics department students. 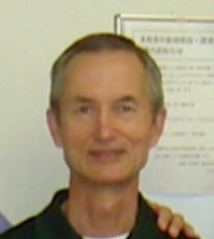 The title of his talk was "Temporal and spatial aspects of human visual perception". The class was based on prof. T. Salmon own Vision Science II classes linked here. Some pictures of the event are here: pic1, pic2. 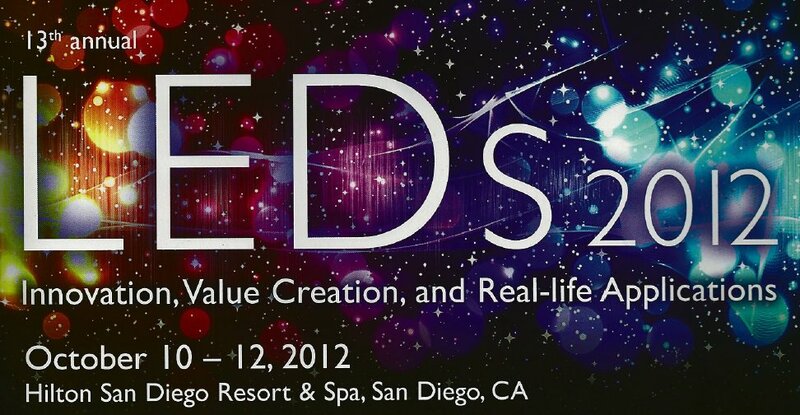 Prof. Micheletto was invited to the LEDs 2012 conference in San Diego, USA. He gave a talk with the title "The observation of nano and micro scaled optical blinking phenomena in the emission of InGaN LEDs: characterization and models". The relevant part of the conference program is here and the biography given is here. Also, the PDF of the OHPs presented at the meeting is available here. Two pictures taken at the event are here: pic1, pic2. Professor Micheletto collaborated to the organization of a interdisclipinary lecture-event. 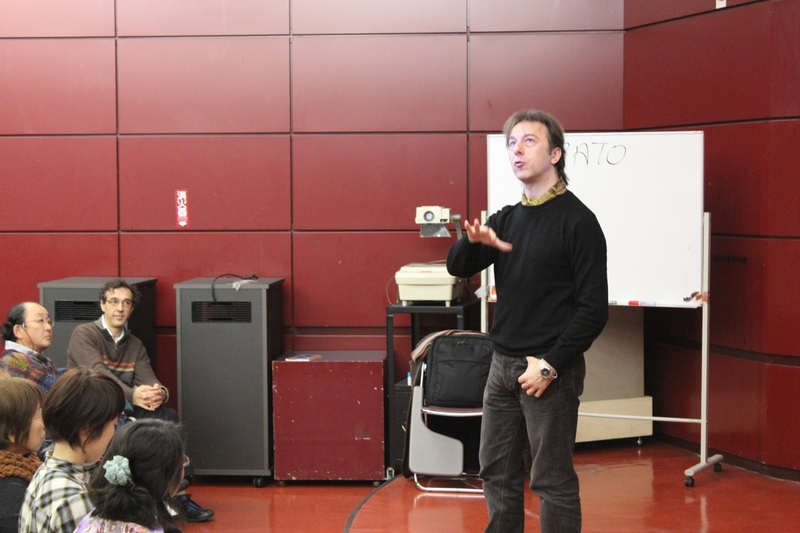 The guest-professor was prof. Dario Ponissi, that made an invited special lecture on Italian Opera. 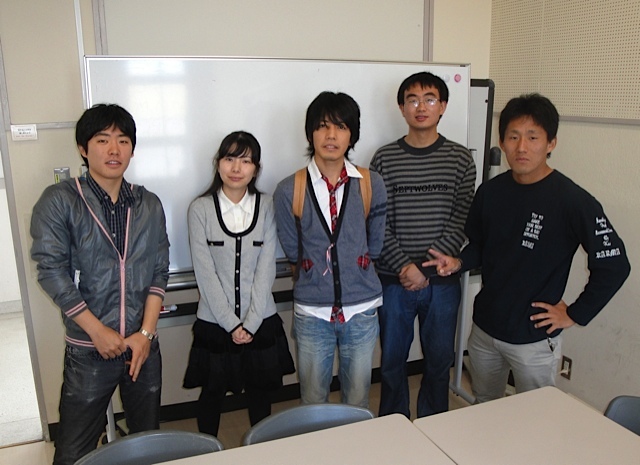 He gave the class in the framework of Yokohama City University "special seminars". He introduced the Italian Opera structure and form, he performed live several exemples of acts, showed and commented videos of famous operas and responded to random questions from the audience. The lecture was extremely successful and attracted an exceeding number of people from outside the university. Here are two pictures of the event (pic1, pic2). 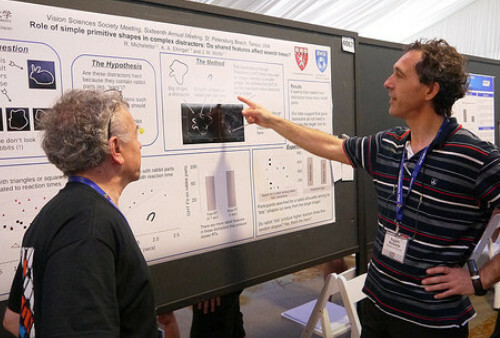 Prof. Micheletto was invited to the ISSNIP 2011 internationa meeting in Adelaide Australia. He gave a lecture with the title "A λ/30 Resolution Laser Speckle Pattern Biosensor for Dynamic Studies on Live Samples", a study made with M. Fernanda Avila, S. Yamaguchi and prof. H. Uchiyama. The talk was summarized in a peer-reviewed article (link) on the IEEE Xplore digital library. Prof. Micheletto gave a presentation to the 37th Symposium of the "Association of Sensorial Substitution". He gave a talk about a novel optical illusion that was discovered and studied for the first time in his laboratory. Title of the talk was "A novel optical illusion based on visual-acoustical sensory interaction, possible applications", the abstract of this presentation is here, the complete program of the symposium is here. 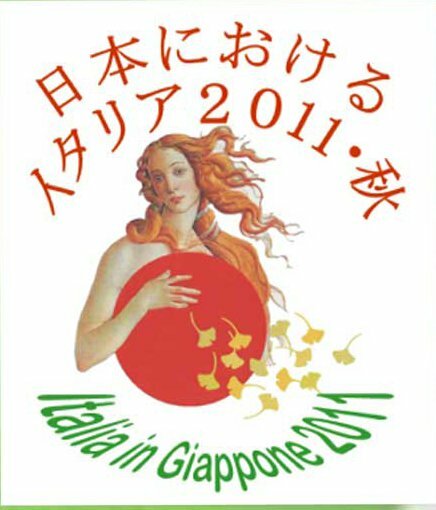 Prof. Micheletto collaborated in the organization of the event Italy in Japan 2011, realized in cooperation of the Italian Embassy and Japanese and Italian universities. 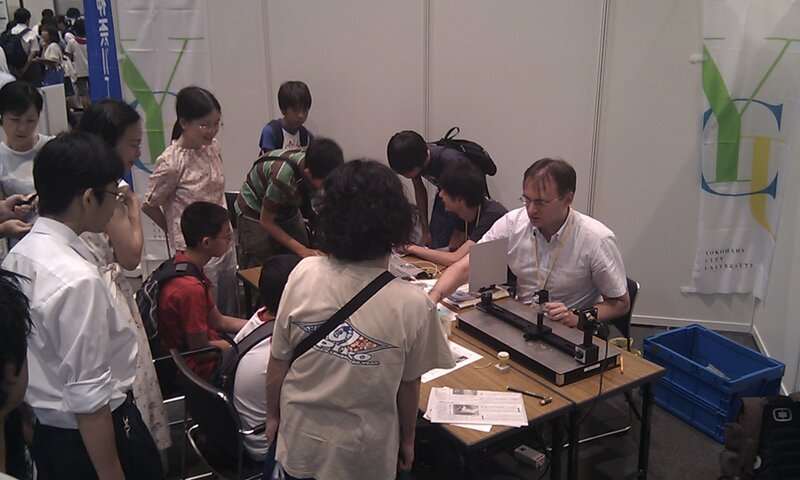 He was in the organizing commetee and gave a lecture with the title "The realization of a new kind of nano-meter sensitive laser microscope". The pamphlet cover of the conference is here, and the program of the event is here. 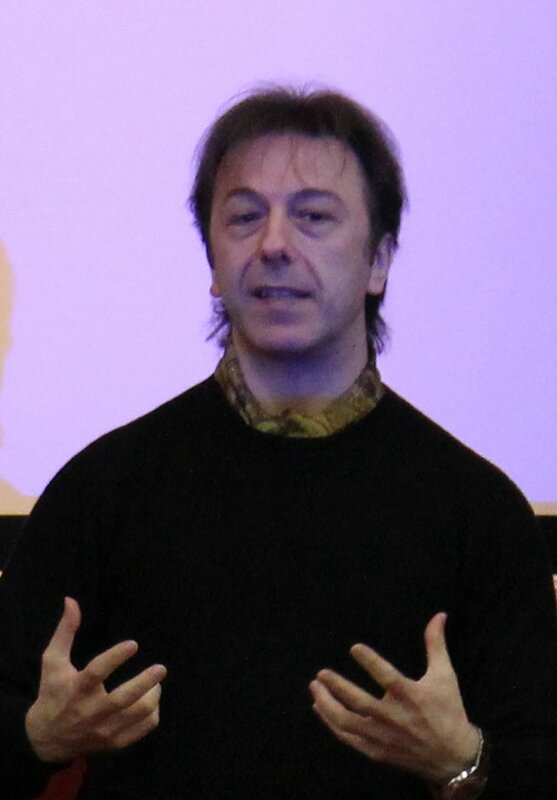 Here is a picture of prof. Micheletto at the event. Prof. Micheletto coordinated the visit of the Italian Ambassador Vincenzo Petrone. 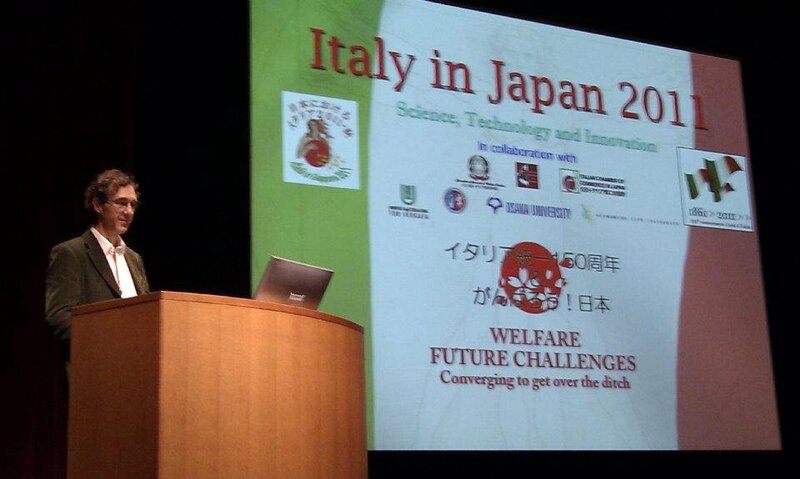 The event was organized by a common effort between the Italian Embassy and Yokohama City University. More than 50 selected students partecipated to the event, the Ambassador gave a class with the title ECONOMIC REALITIES AND ITS RELATIONS WITH JAPAN. The pamphlet of the event is here. Some pictures of the event are here:pic2, pic3 and pic4. microscope", by K. Oikawa, C. Feldmeier, U.T. 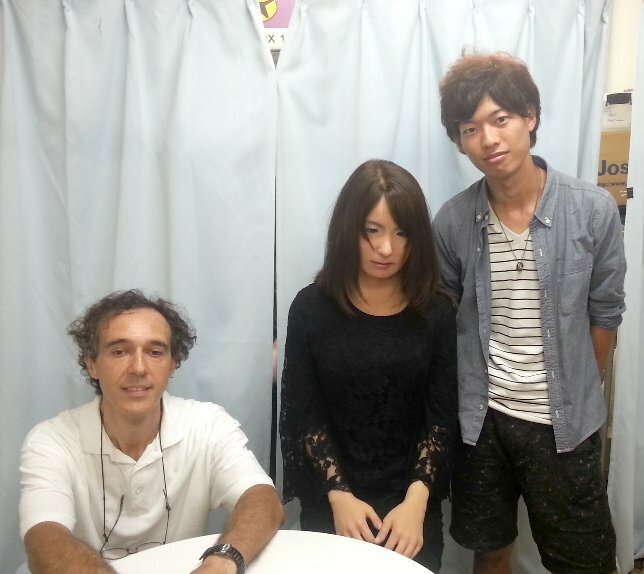 Schwarz, Y. Kawakami and R. Micheletto. here. 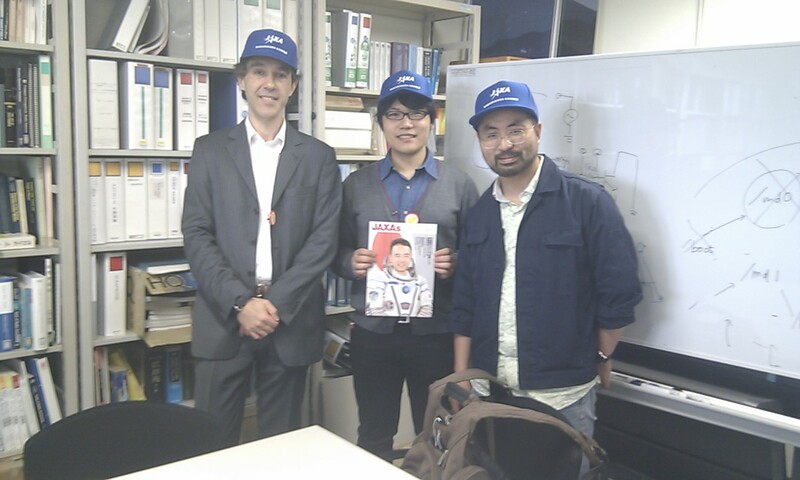 Junichi Komatsu, second year master student, and prof. Micheletto visited the Institute of Space and Astronautical Science (JAXA), Sagamihara, Tokyo area. 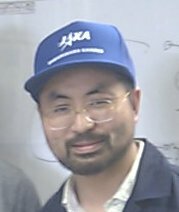 Prof. Yoshiharu Asaki delivered a guided tour of the facilities and introduced all the main missions and research themes currently ongoing at JAXA. The goal of the informal visit was to establish possible link for student exchange and research collaboration in the space research field. 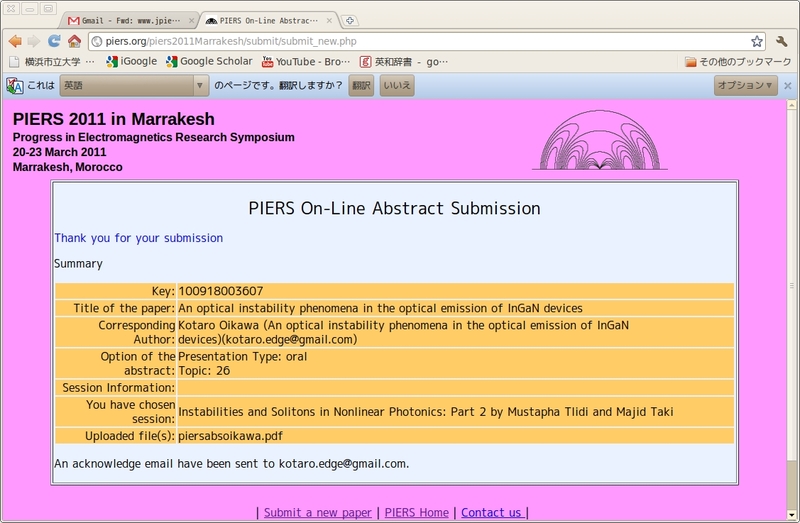 Kotaro Oikawa, second year master student, is invited to the PIERS International conference (Progress In Electromagnetics Research Symposium, in Marrakesh, Morocco link). 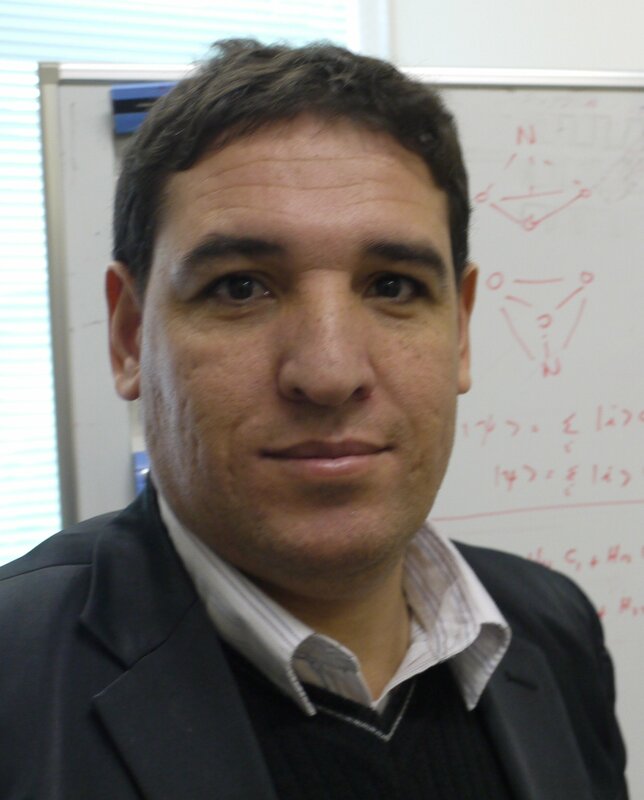 He gave an oral lecture with the title "An optical instability phenomena in the optical emission of InGaN devices", the abstract is here and the submission details here. The presentation travel expences were sponsored by Yokohama City University. Dr Francesco Enrichi of the Institute CIVEN and Nanofab, Marghera (Venice), Italy, visited Micheletto's group and made a presentation of his nano-bio sciences research to the students and colleagues. He gave a class in the framework of the "Basic Sciences Seminars", to students, professors and researchers of the Nanosystems and Genomesystems faculties. The title of his talk was "Veneto Nanotech, the Italian Cluster for Nanotechnology: presentation, mission and research activity". The abstract of the presentation is here. 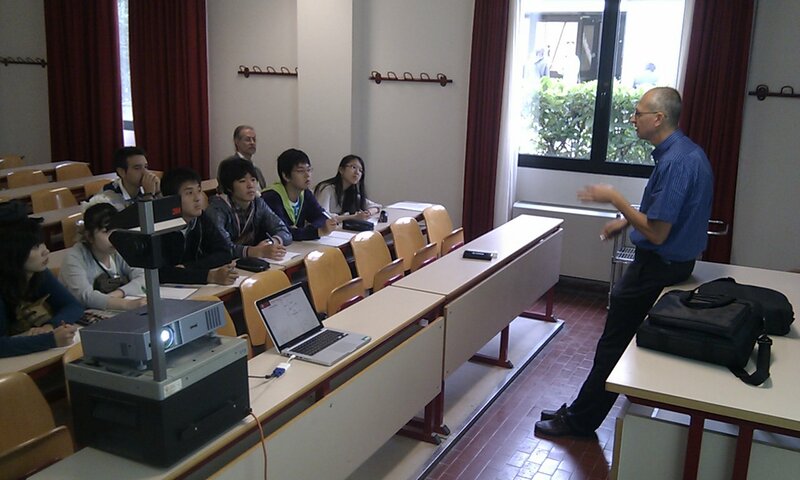 Prof. Yoshiharu Asaki of the Institute of Space and Astronautical Science (JAXA), Sagamihara, Tokyo area, visited Micheletto's group and made a presentation of his space-related research to the students and colleagues. He also briefly discussed about possible collaborations and exchange of students and/or researchers. 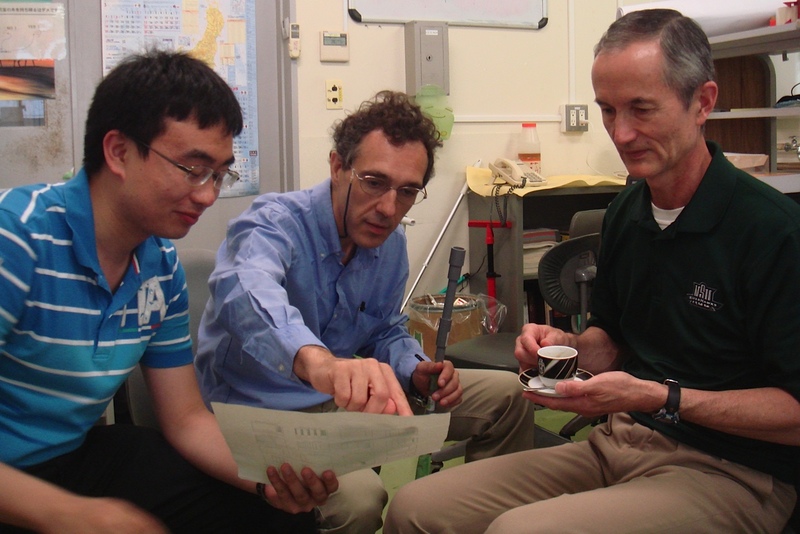 It has been proposed that next year, some of Micheletto's laboratory younger students will visit JAXA research center and possibly establish a common research theme. 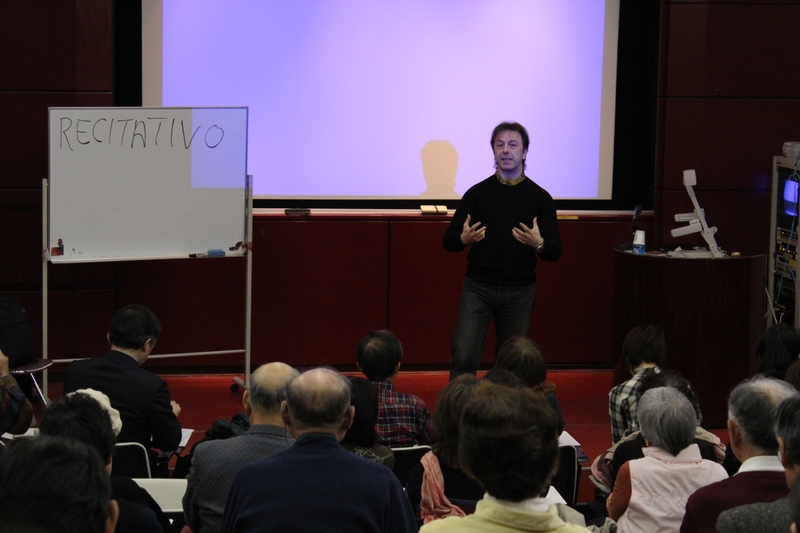 Prof. Micheletto was invited for a presentation at the Italian Embassy in Tokyo. He presented in front of the consul ministry and and other representatives his research in the field of Cognitive Information Science. Topic was the current status of his research "VisualSound: a portable system for the conversion of visual stimuli in sounds as aid for people with vision problems". The project is in collaboration with of Hicare Srl, Torino, Italy, G. Iannizzotto and F. Battaglia of Visilab in Messina, Italy and T. Kishino of Yokohama City University, Japan. The project has been issued within the framework of the Scientific and Technological Co-operation Agreement between Japan and Italy (link). A summary of the meeting with downloadable abstract of the talk is here. 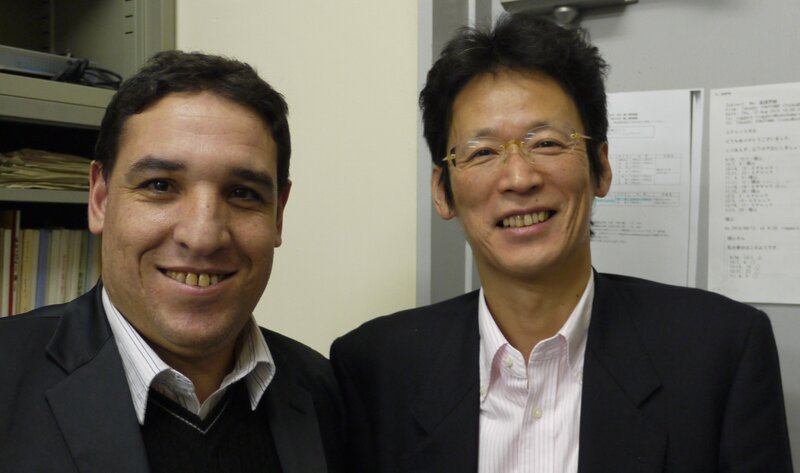 Prof. Khalil El-Hami of the Polydisciplinary Faculty of Khouribga, Hassan First University, visited Micheletto's group and made a presentation of his research to the students and colleagues (a picture with prof. M. Tachibana, pic1). He discussed about possible collaborations with the group and about exchange of students and/or researchers. Also he established a plan for a possible application of funds for international collaboration. 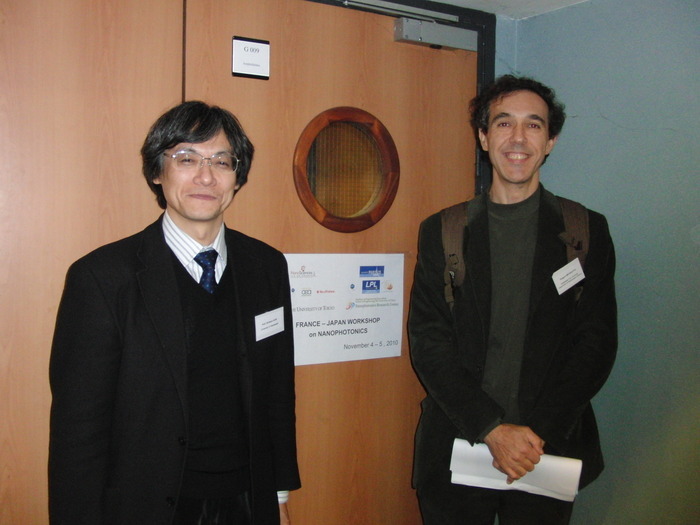 Prof. Micheletto is invited at the France-Japan workshop on Nanophotonics. He presented a talk with the title "The optical instabilities and blinking phenomena in the emission of InGaN quantum wells", and a poster with the same title. The book of Abstracts is here (pdf, 3Mb), the poster is here and a picture of the event is here (pic1). 1. 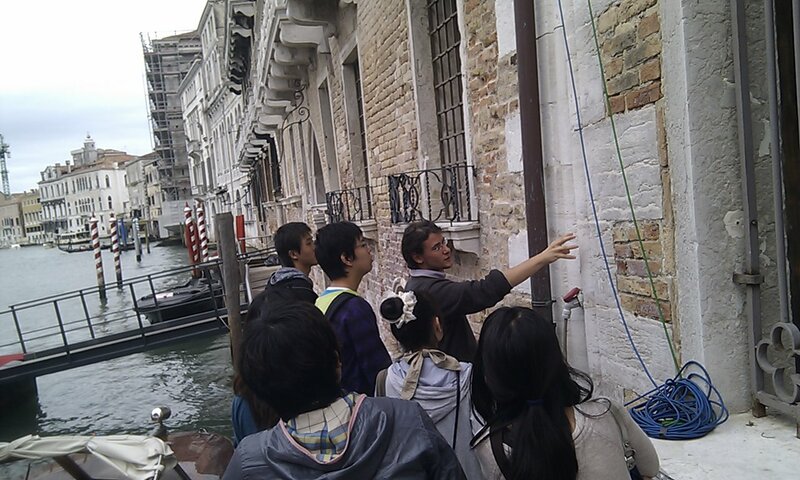 The Nanofab lab in CIVEN, in Venice. The group followed meetings, special events and lectures organized by the hosts. A report of the fieldwork trip is here (pdf, 2Mb), and a gallery with pictures is here (pdf, 10Mb). Prof. Micheletto and master student Oikawa Kotaro are invited to the Science Fair exhibition of Kanagawa prefecture in Yokohama. They introduce very simple physics experiments to high school students and children to induce them to like and study physics. Some picture of the event are here: pict1 and pict2. To the event contributed also prof. Claudio Capiglia visiting professor at Politecnico di Torino and program manager of Recruit R&D Co., Ltd.
Master student Oikawa Kotaro presented a research talk at the 19th Nano-optics research group meeting of the Japanese Optical Society. 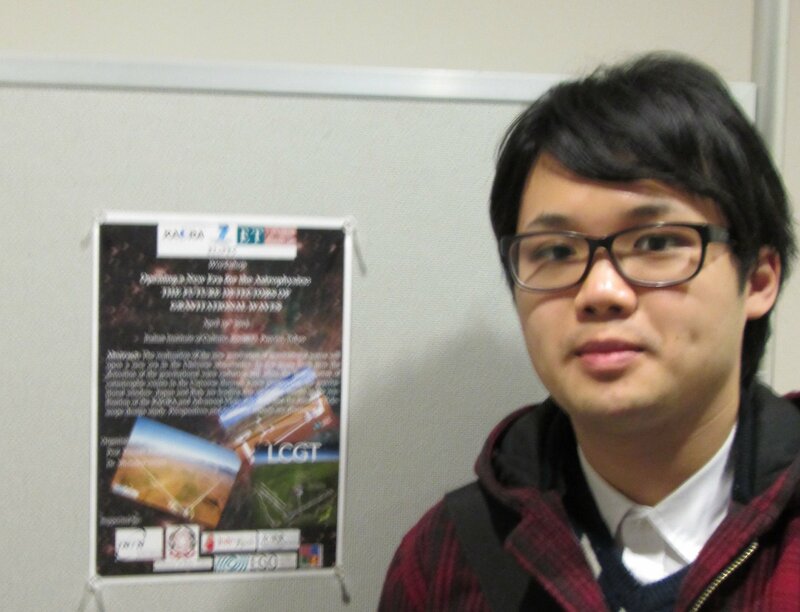 The title of his talk was "Local evidence of optical instabilities in the photoluminescence of InGaN by SNOM real-time investigation" (here). 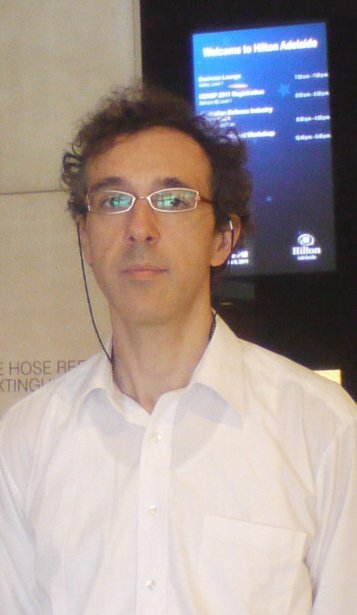 Prof. Micheletto partecipate at the 2010 OSA Optical Sensors Conference in Karlsruhe, Germany. He presents a paper with this title "Index of Refraction Sensors; Virtually Unlimited Sensing Power at Critical Angle" (here) and a poster with the same title (here). The conference include the "LaserFest": celebration of the 50 Years of Lasers, with the talk of two Nobel Laureates (prof. T. W. Haensch and prof. C.H. Townes). Prof. Micheletto assigned a mobility grant for the years 2010-2011 from the Italian Ministry of Foreign Affairs for a research project in partnership with Dr. R. Marchisio of Hicare Srl, Italy. The project title is "VisualSound: a portable system for the conversion of visual stimuli in sounds as aid for people with vision problems". The project is also in collaboration with prof. G. Iannizzotto and F. Battaglia of Visilab in Messina and T. Kishino of Yokohama City University. The project has been issued within the framework of the Scientific and Technological Co-operation Agreement between Japan and Italy (link). 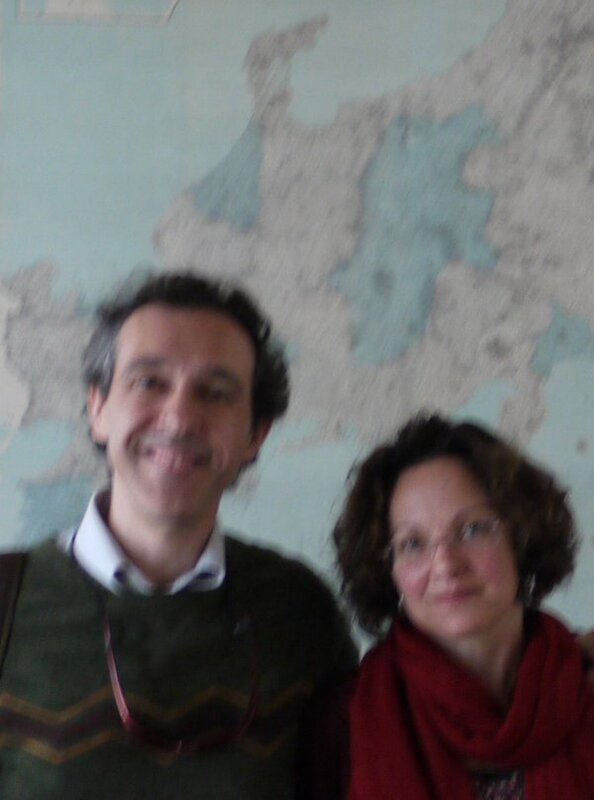 Prof. Micheletto visited prof. Tiziana Lippiello at the University Ca' Foscari in Venice, Italy. They discussed about the possible exchange of students and researchers between the two universities. 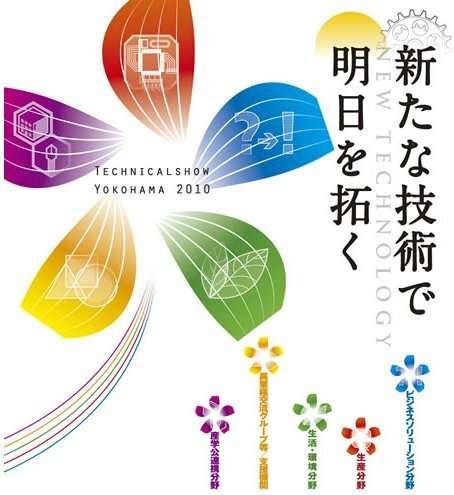 Prof. Micheletto is invited to give a lecture at the Technicalshow Yokohama 2010. His talk was with this title: "Versatile optical fiber based vibration sensors". Prof. U. T. Schwarz of Fraunhofer Institute for Applied Solid State Physics, visited Micheletto group and made a presentation with the title "Optical properties and efficiency of InGaN quantum wells of high power LEDs on the sub-nanometer length scale" (21 of January, 18:00). Prof. Micheletto left for Europe. He took winter vacations and subsequently visited prof. J.G. 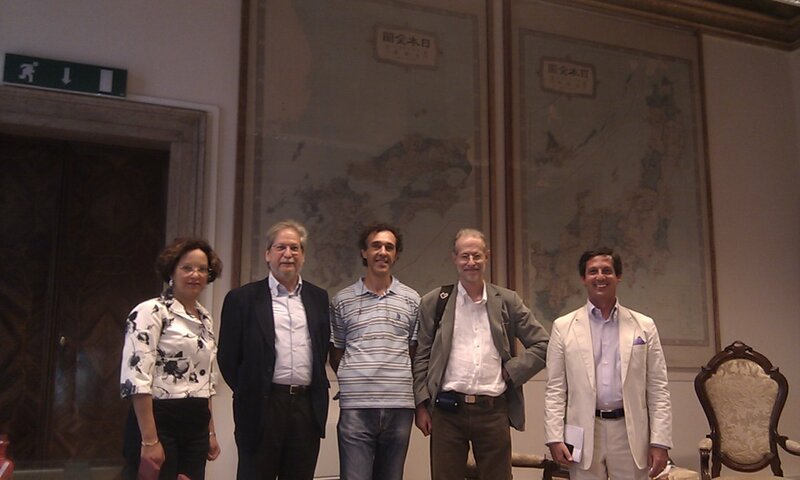 Mendes, of the University of Porto, in Portugal for discussion of possible research collaboration. Published Transient memory effect in the photoluminescence of InGaN single quantum wells by C. Feldmeier, M. Abiko, U.T. Schwarz, Y. Kawakami and R. Micheletto, Optics Express 17, 22855 (2009). here. 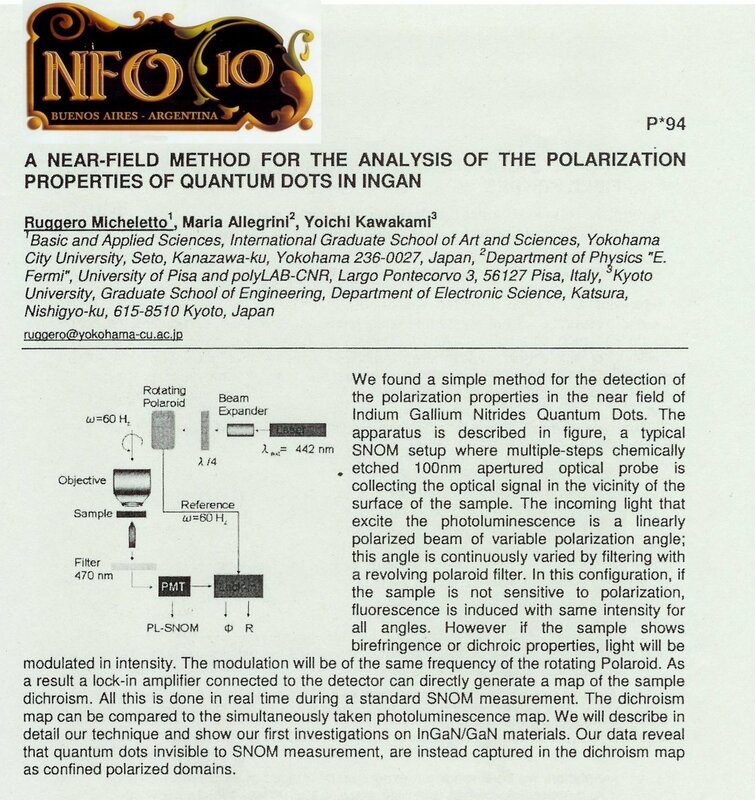 Published Near-field evidence of local polarized emission centers in InGaN/GaN materials by R. Micheletto, M. Allegrini and Y. Kawakami,Applied Physics Letters 95, 211904 (2009). here. Prof. Micheletto contributed to the presentation, "Metal Nanoparticle Induced Blinking in Green InGaN Quantum Wells" by Anne Kuhnert, Ulrich T. Schwarz, Christian Feldmeier and Ruggero Micheletto held at the 8th International Conference on Nitride Semiconductors, ICNS-8, Oct. 18-23, 2009, Jeju, Korea. The abstract of the talk is here. 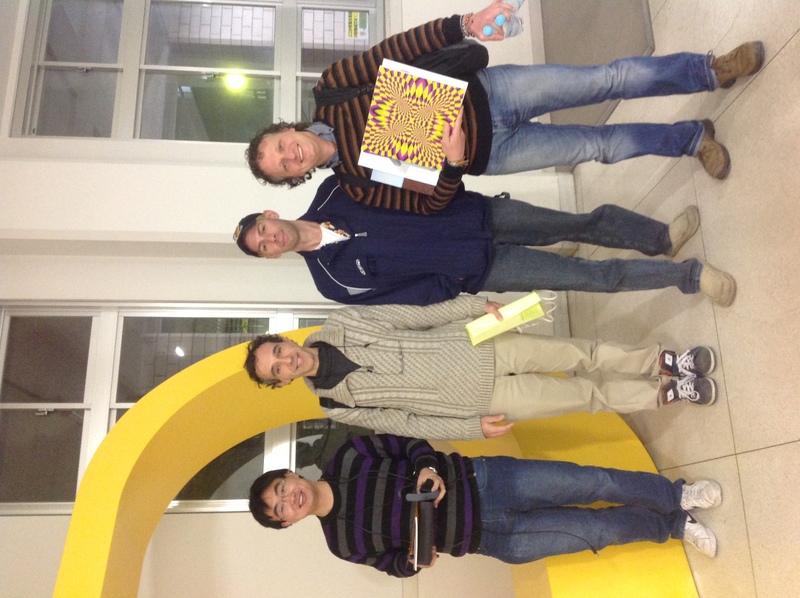 Christian Feldmeier concludes his visit in Japan and comes back to his home university in Regensburg. 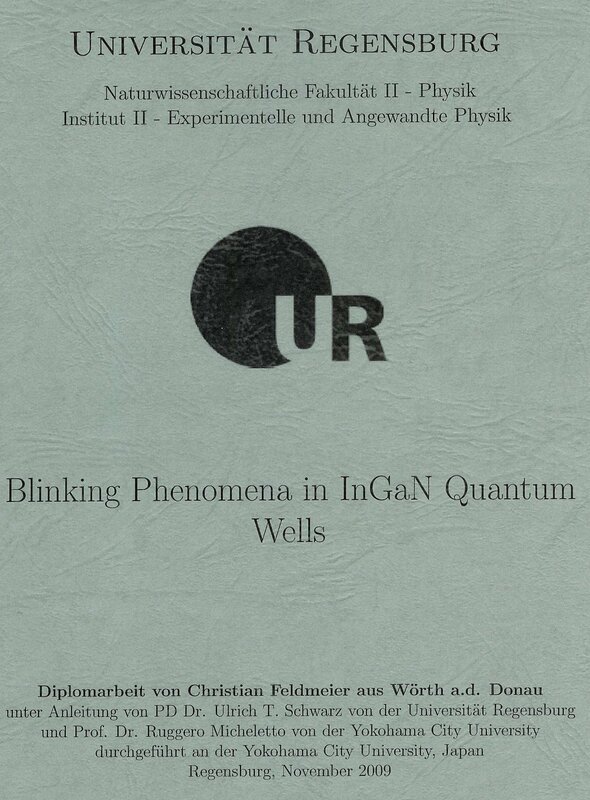 He summarized his research work in a final thesis "Diplomarbeit" with the title "Blinking Phenomena in InGaN Quantum Wells". It is possible to download the whole diploma thesis in pdf format from these links: part1 (3Mb), part2 (2Mb). 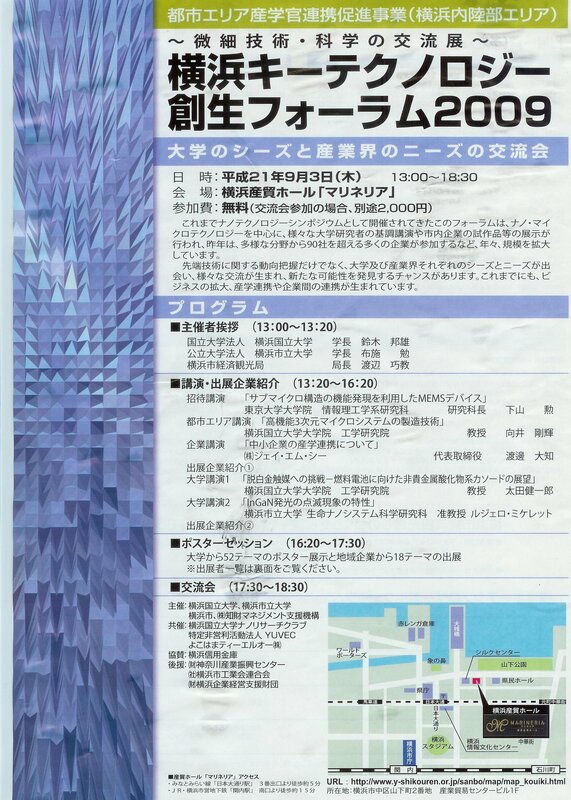 Invited Speech at the Yokohama Creative Technology Forum (the pamphlet is here). Prof. Micheletto is invited to give a lecture with title "Characteristics of the InGaN photoluminescence blinking phenomena" (here). 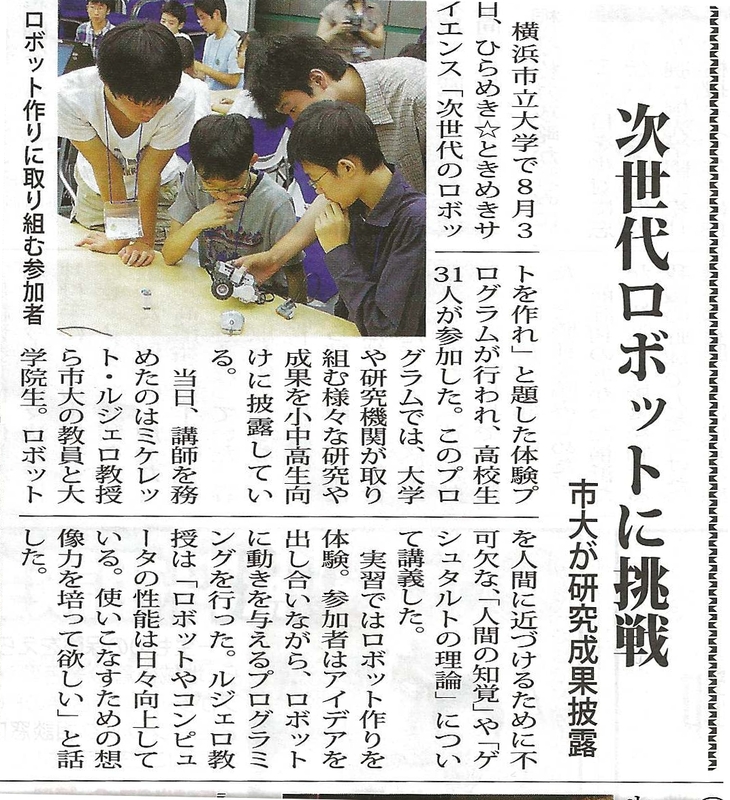 Prof. Micheletto appears on the State newspaper Kanagawa-shinbun. He was invited to give a talk in the occasion of the celebration of the 150 anniversary of the Opening of Yokohama harbour. He spoke briefly about the future of Yokohama City. 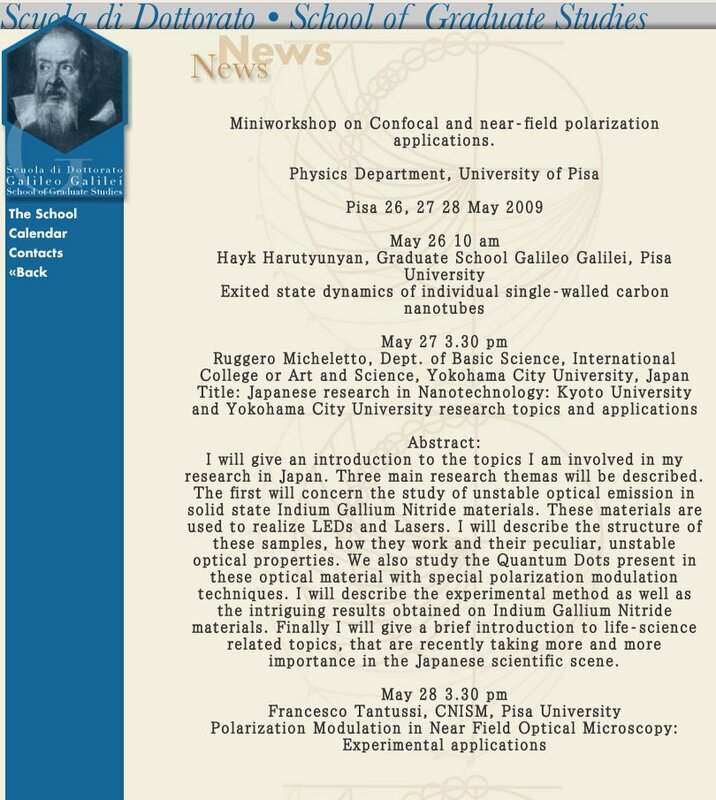 Prof. Micheletto is invited to give a lecture to the School of Graduate Studies "Galileo Galilei", the University of Pisa, Italy for the Miniworkshop on Confocal and near-field polarization applications. 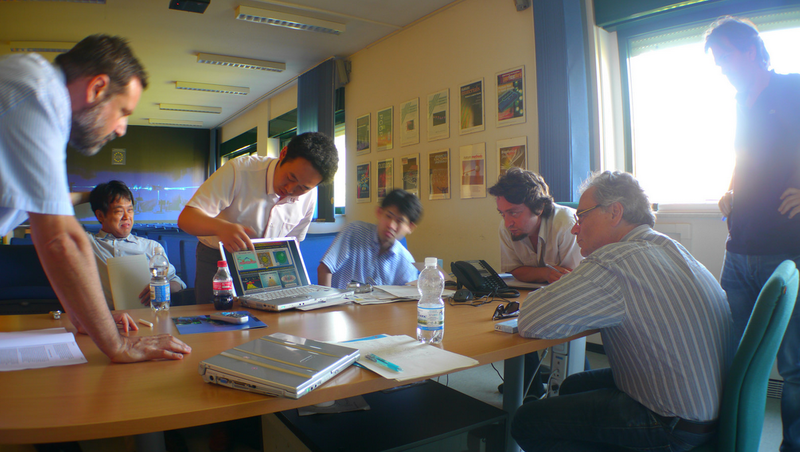 The talk was held at the Physics Department, University of Pisa Pisa 26, 27 and 28 May 2009. 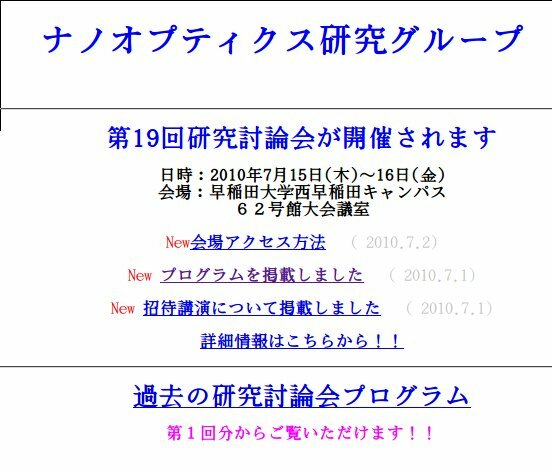 The title of the talk was "Japanese research in Nanotechnology: Kyoto University and Yokohama City University research topics and applications", 27 of May, 15:30 (the call for the talk is here). Maria Fernanda Avila Ortega joined the group as Research Student. She is currently preparing her Master course entrance examination. She will be involved in one of our biosample analysis related projects. 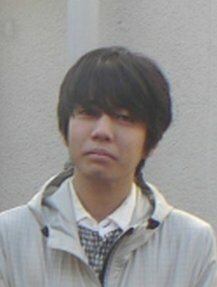 Oikawa Kotaro joined the group as B4 student. 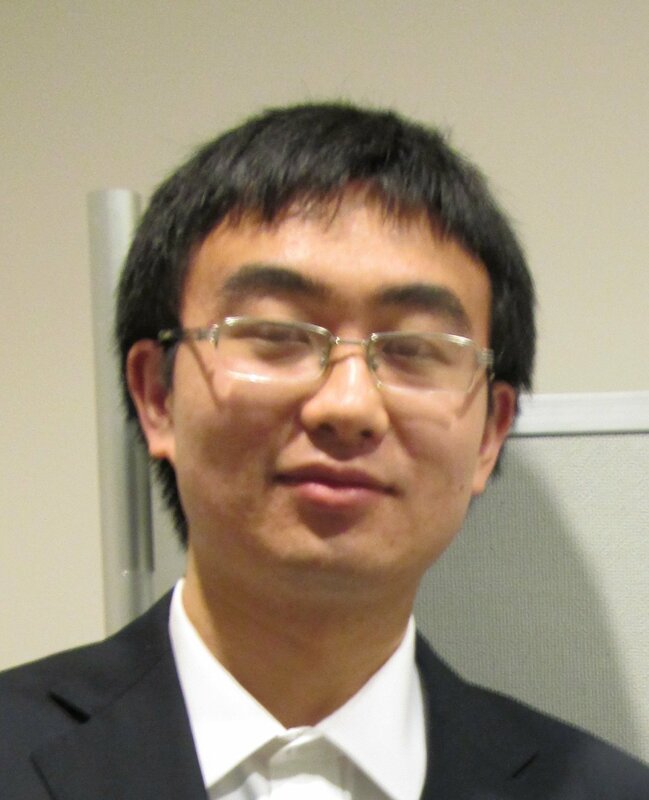 His research will concern the use of near-field optical techniques for the study of solid state InGaN material optical properties. 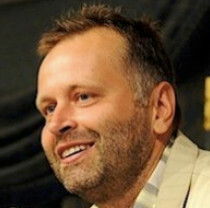 Christian Feldmeier joined the group as Research Student. He will be involved in the optical analysis of InGaN luminescence instabilities and blinking. Publication on Applied Physics Letters: "Tenfold improved sensitivity using high refractive-index substrates for surface plasmon sensing", by R. Micheletto, K. Hamamoto, T. Fujii and Y. Kawakami, here. Prof. Micheletto is invited to give a speech at the "Physical Sensor" meeting of the Institute of Electrical Engineering. 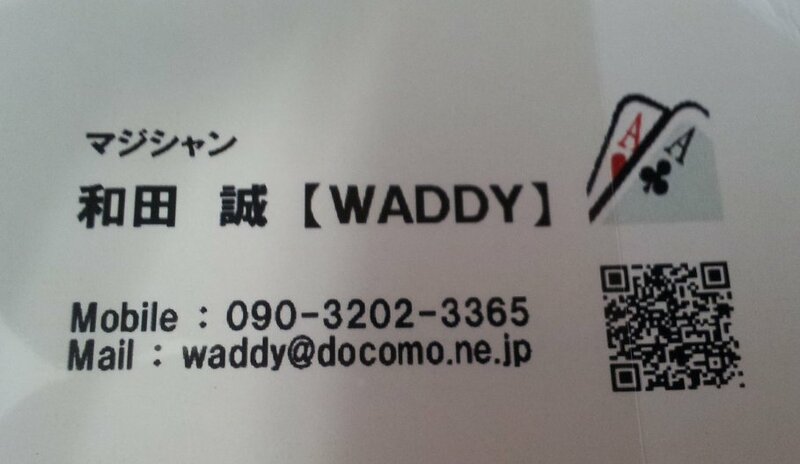 The meeting was held in Waseda University, Tokyo. Title of his talk was "A multiple reflection optical sensor", here. by R. Micheletto, M. Allegrini and Y. Kawakami. Publication on Optics Express:"A polarization-modulation method for the near-field mapping of laterally grown InGaN samples", by R. Micheletto, D. Yamada, M. Allegrini and Y. Kawakami. here. 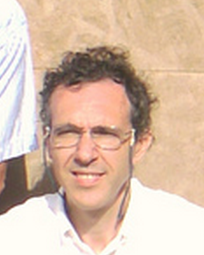 Ruggero Micheletto is elected associated professor and head of his laboratory of "Sensory Information Science".